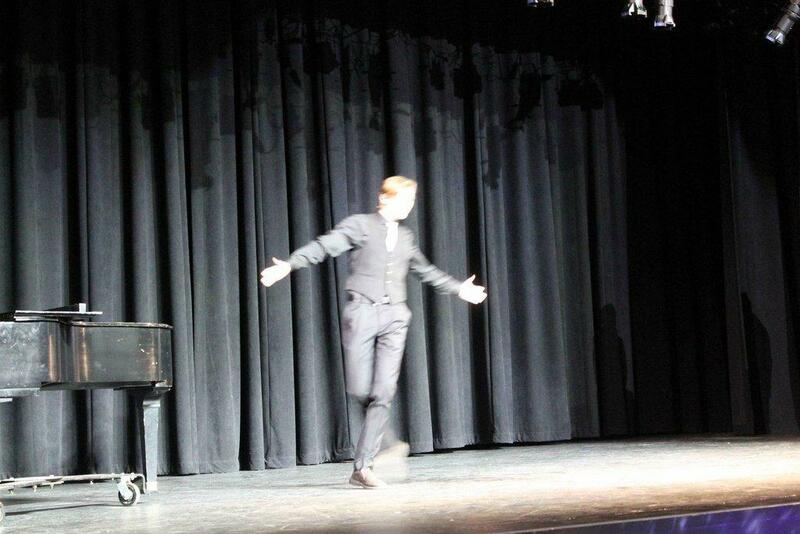 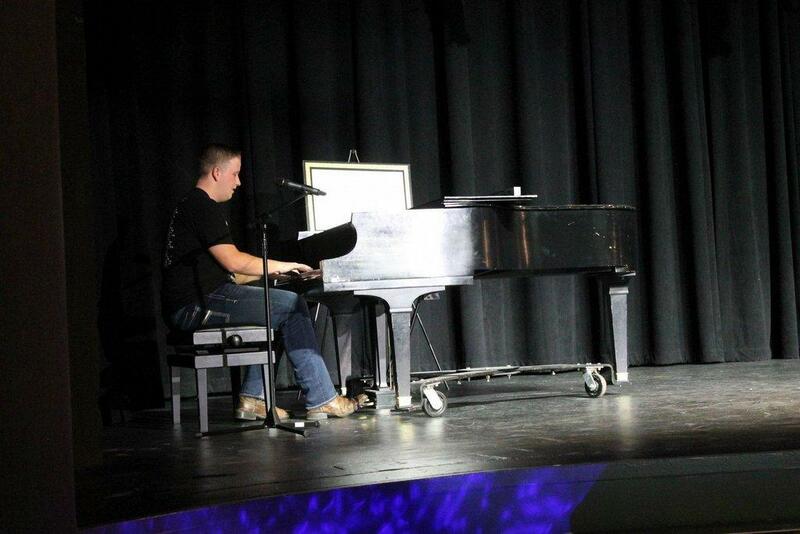 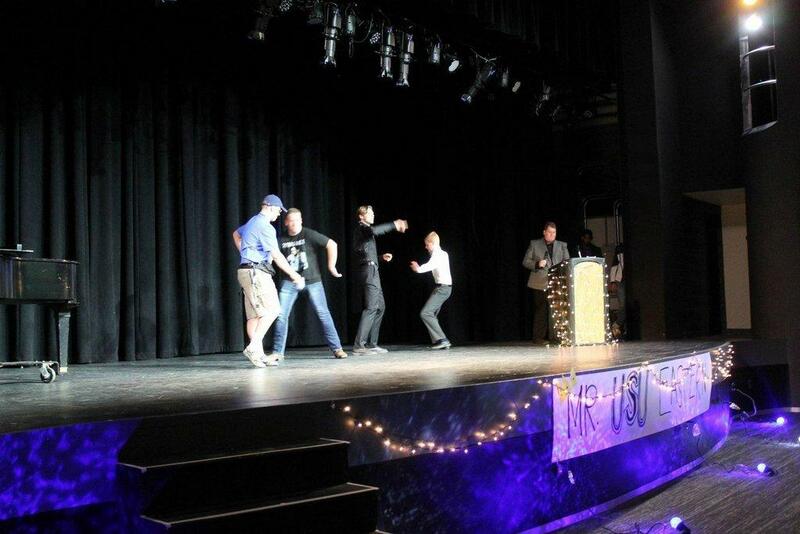 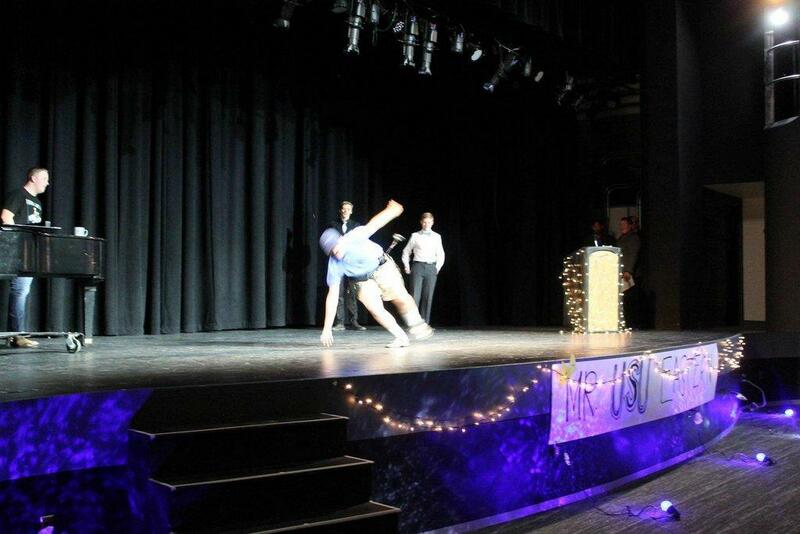 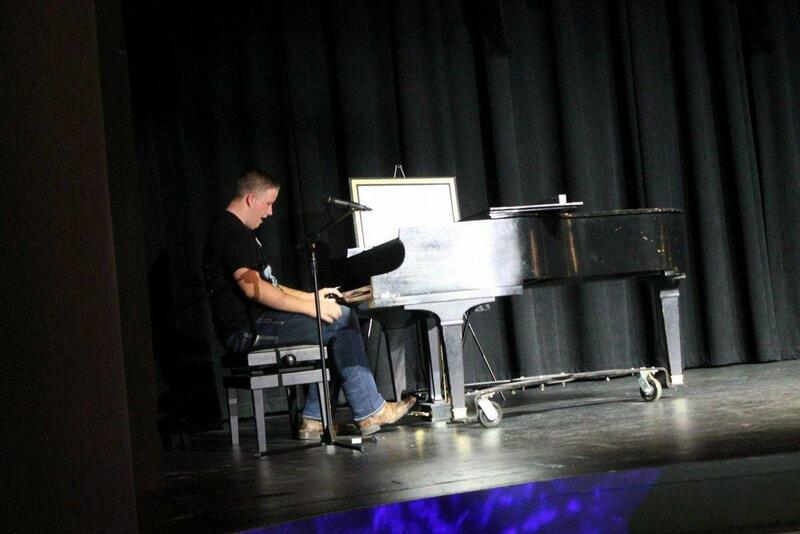 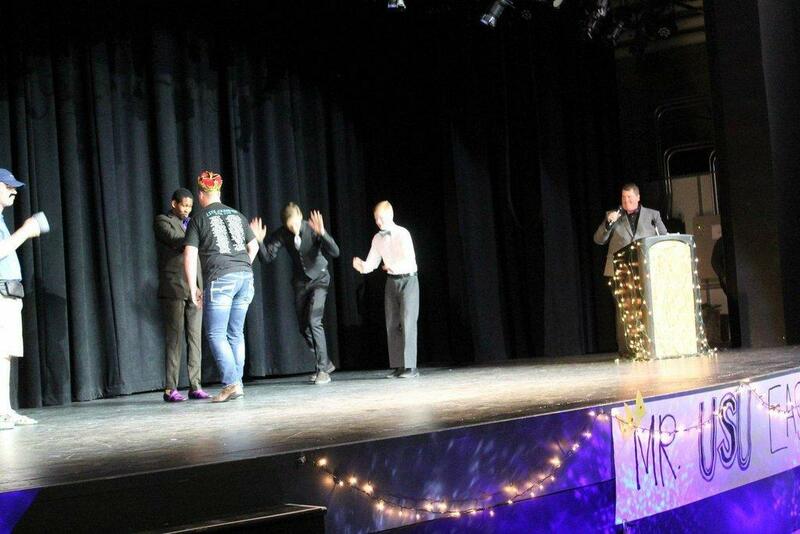 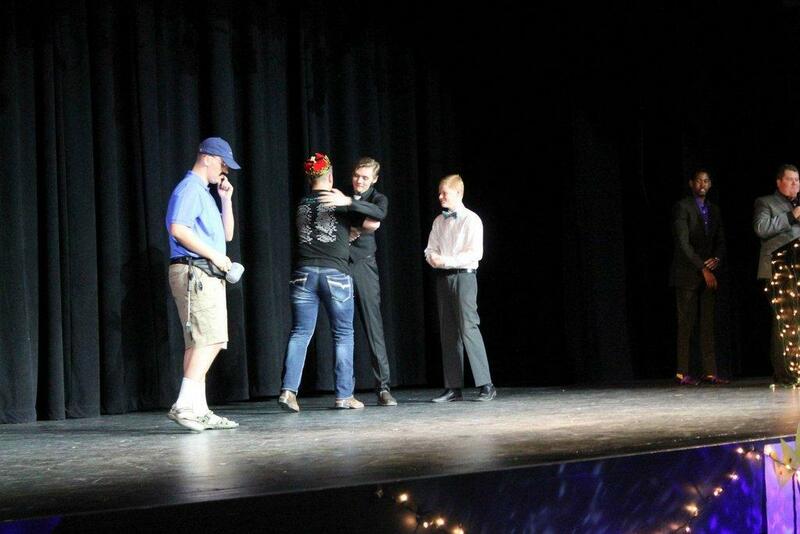 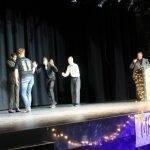 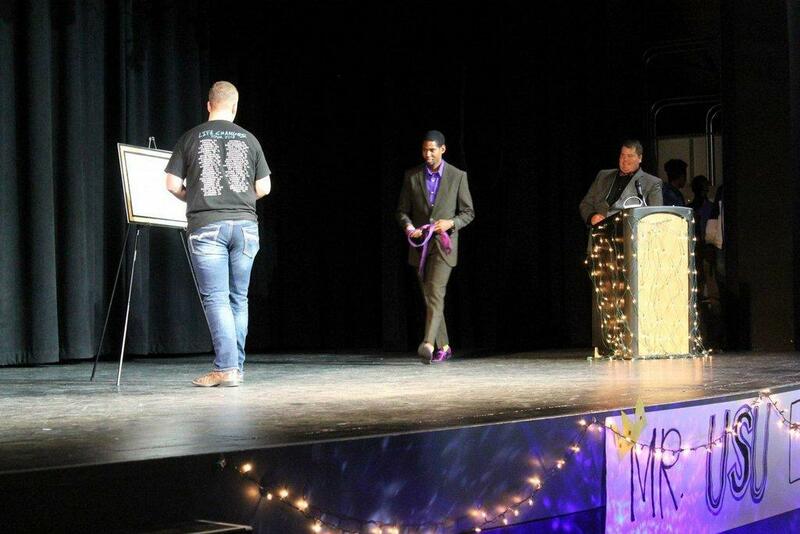 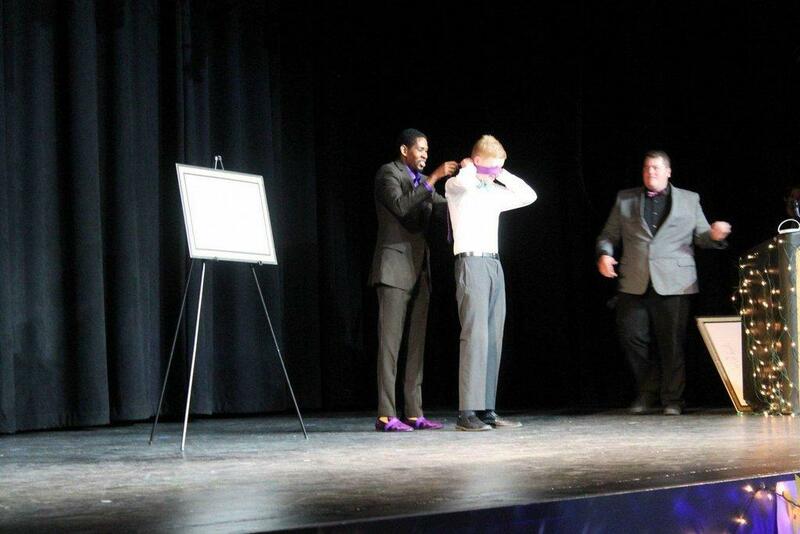 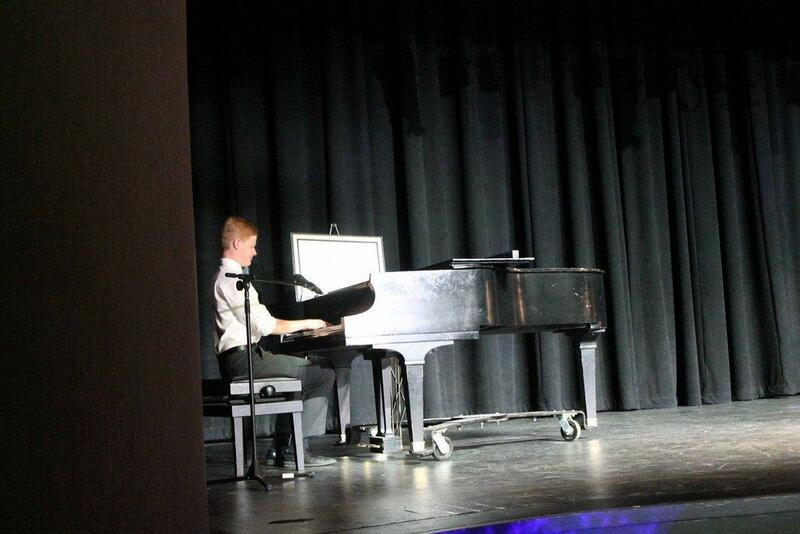 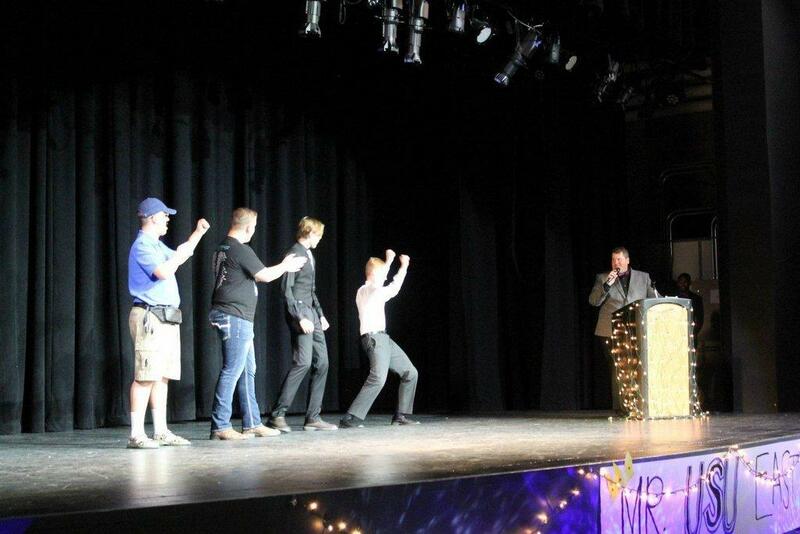 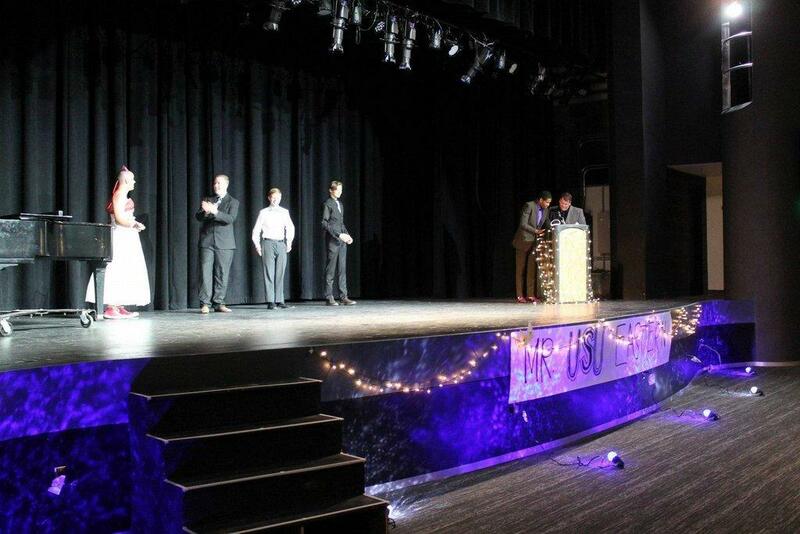 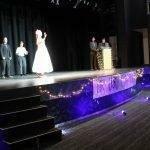 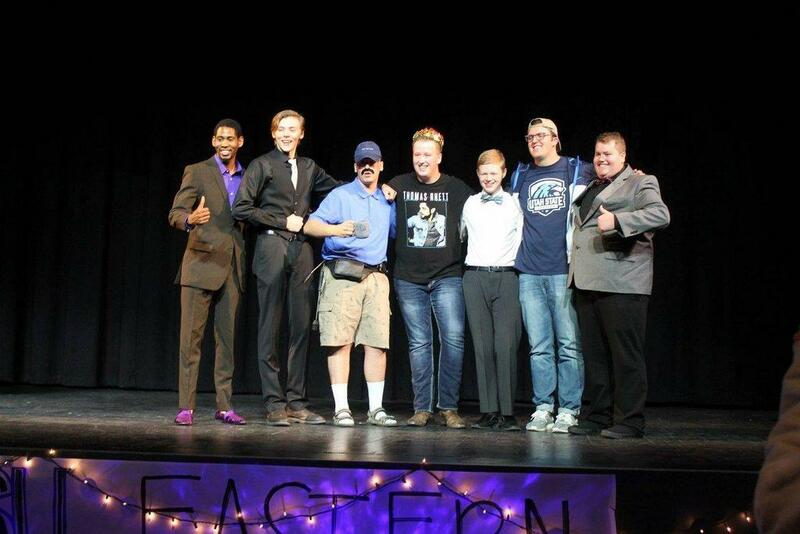 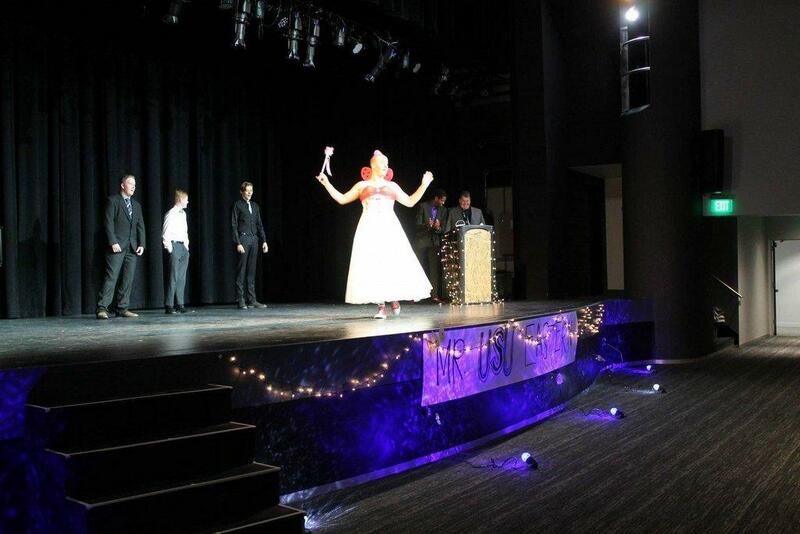 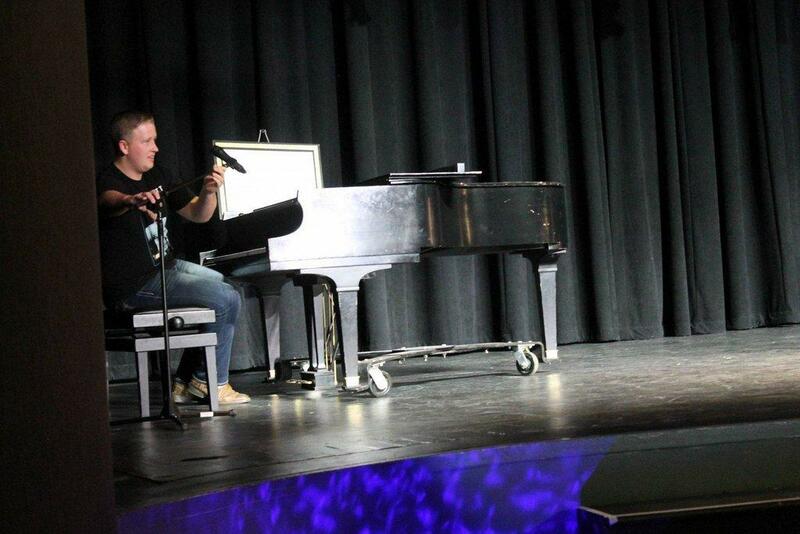 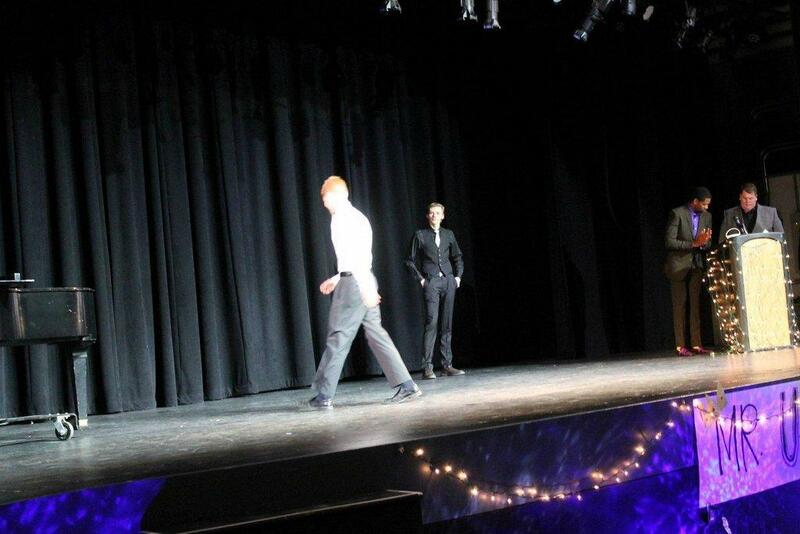 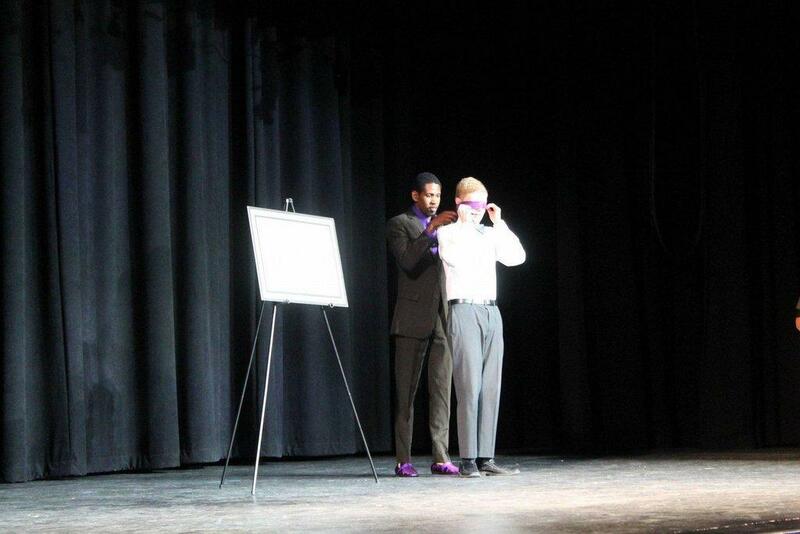 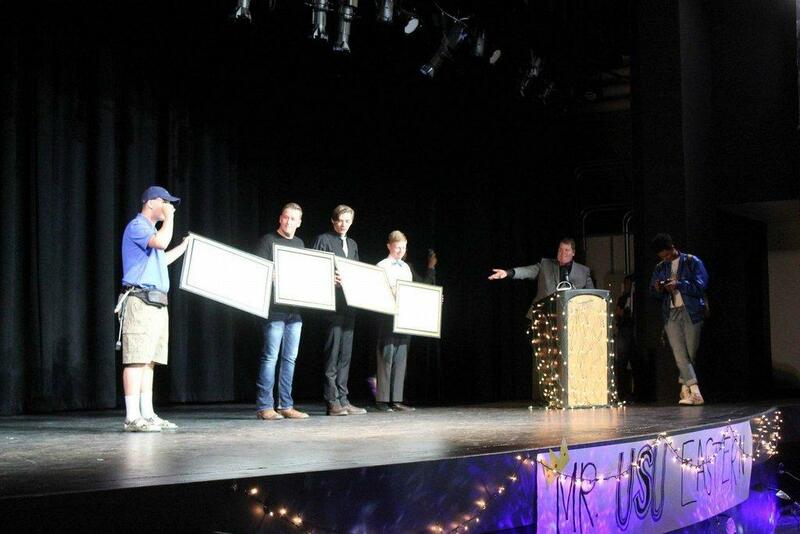 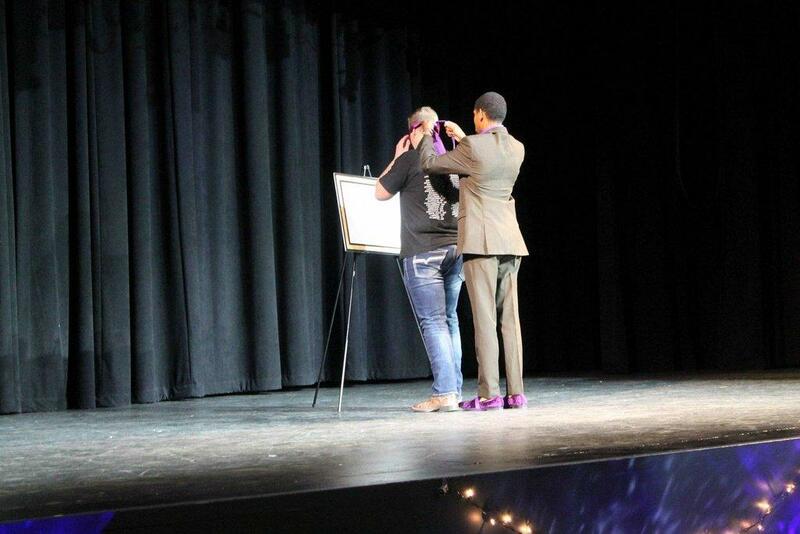 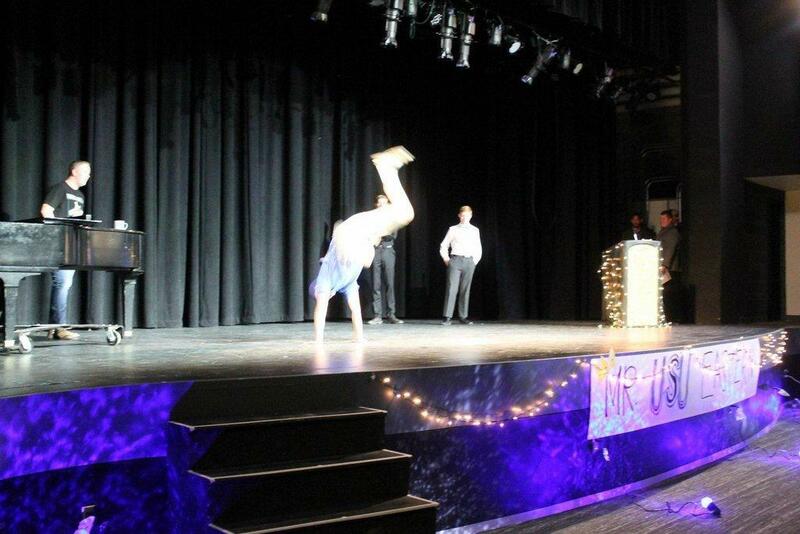 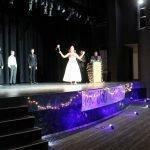 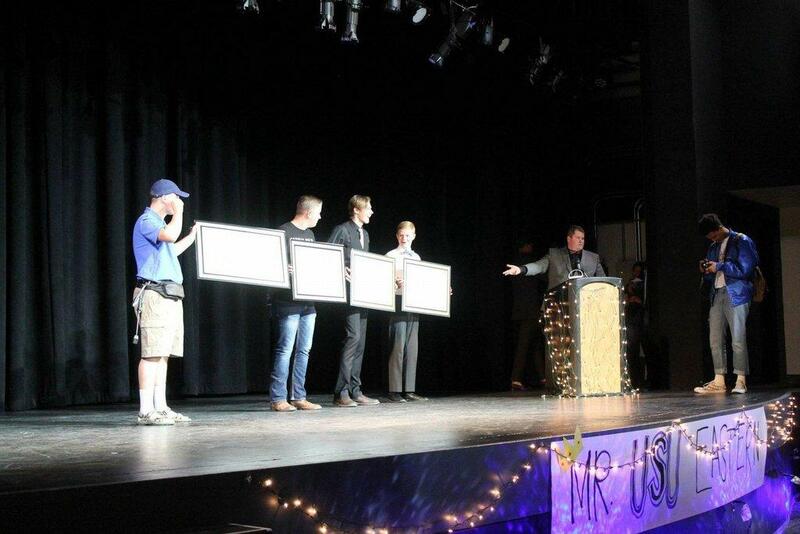 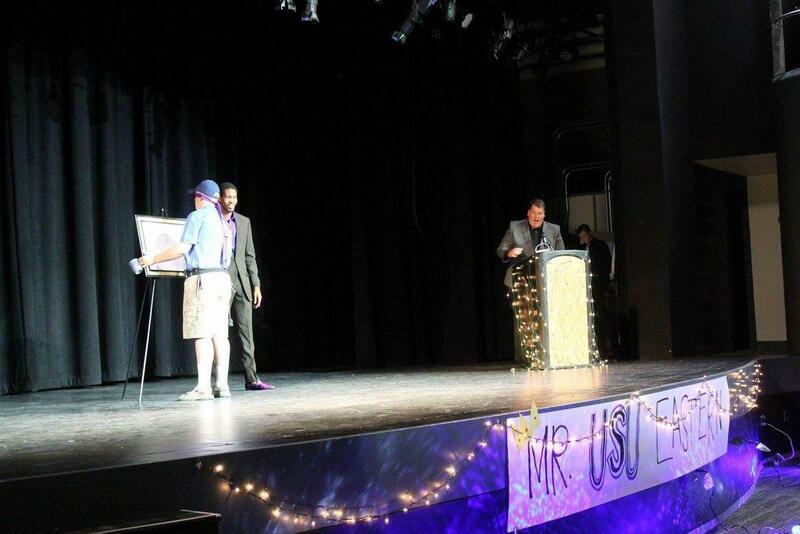 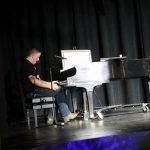 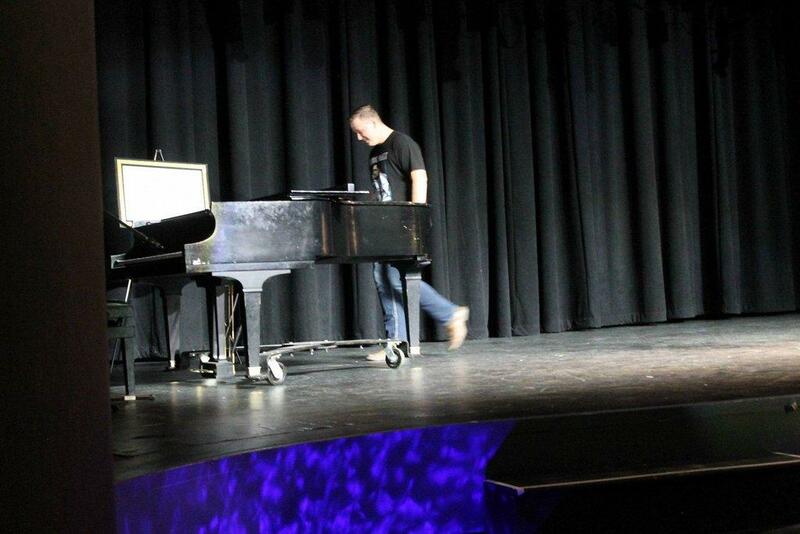 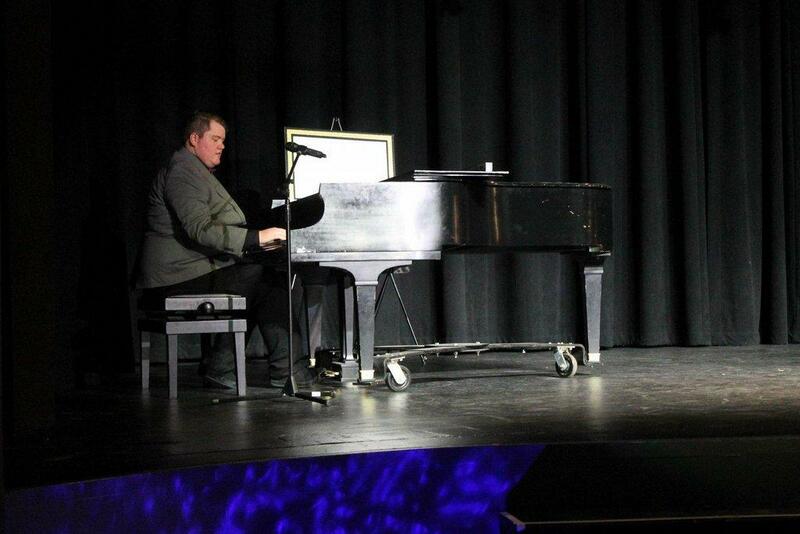 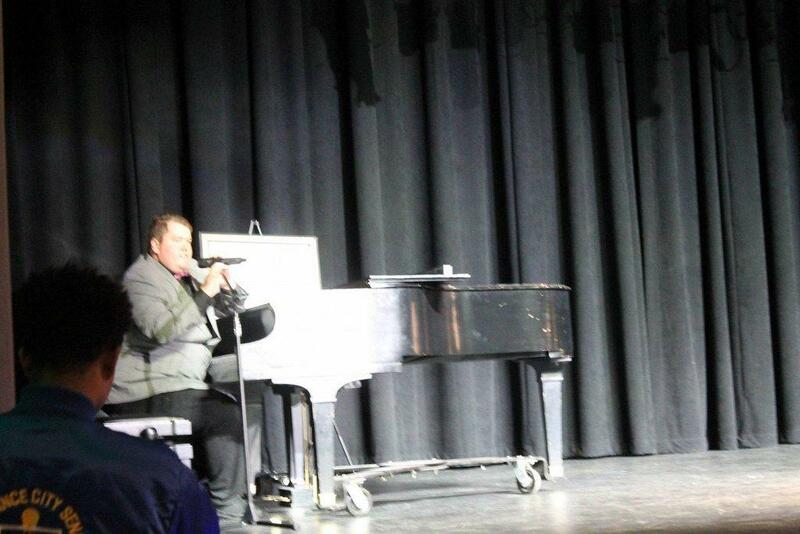 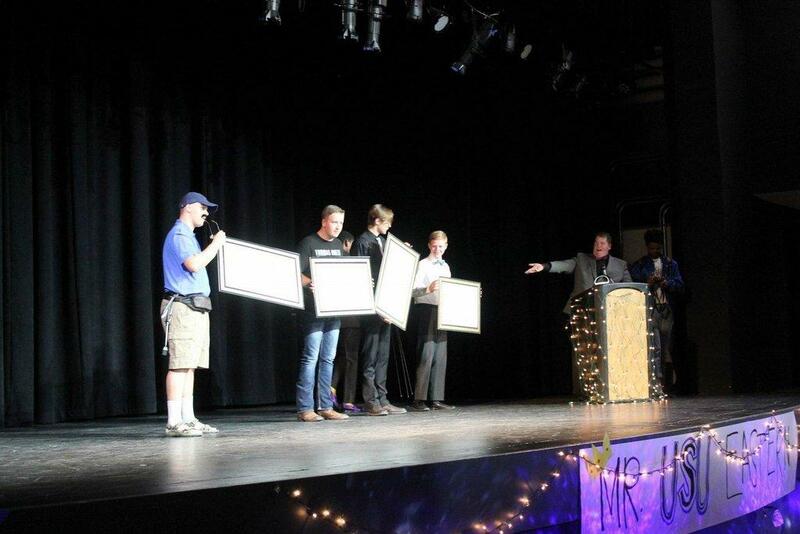 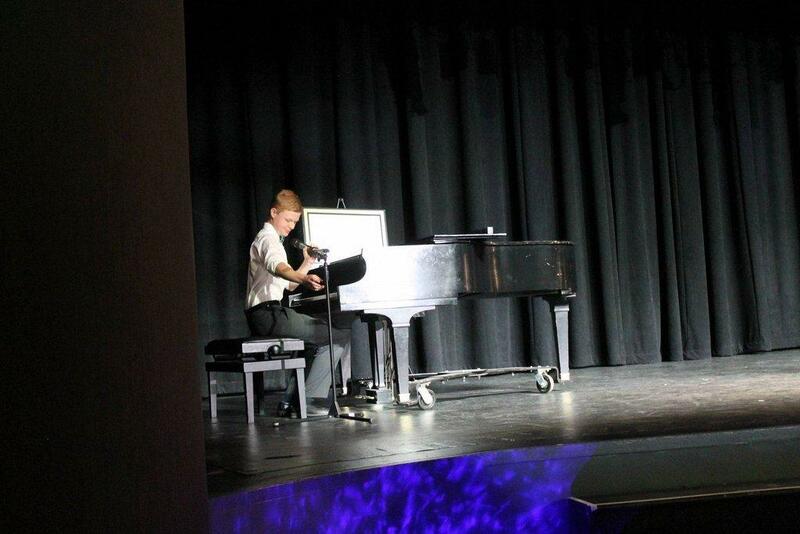 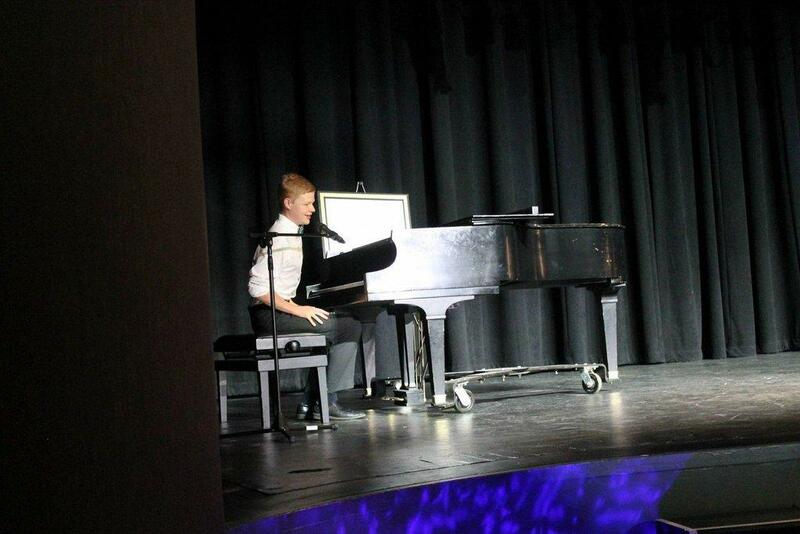 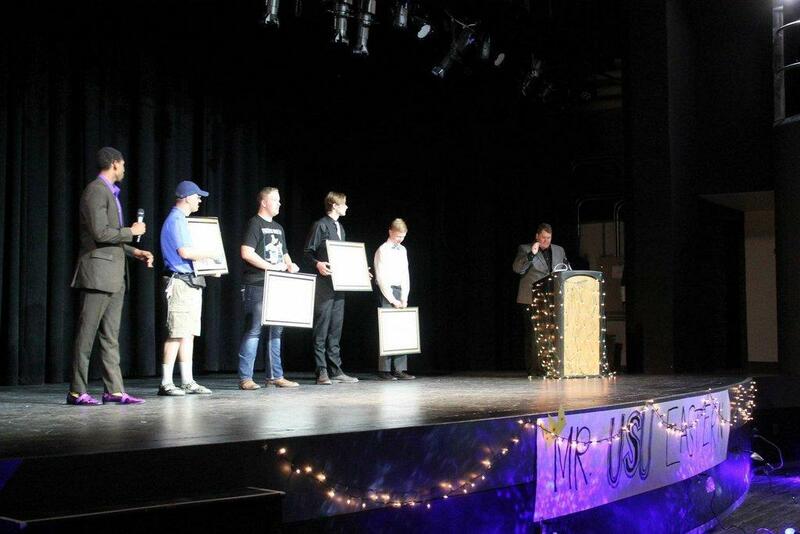 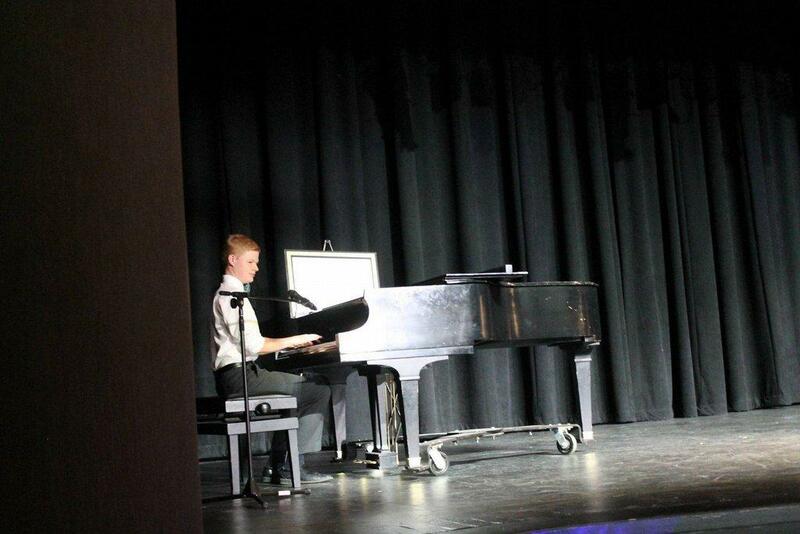 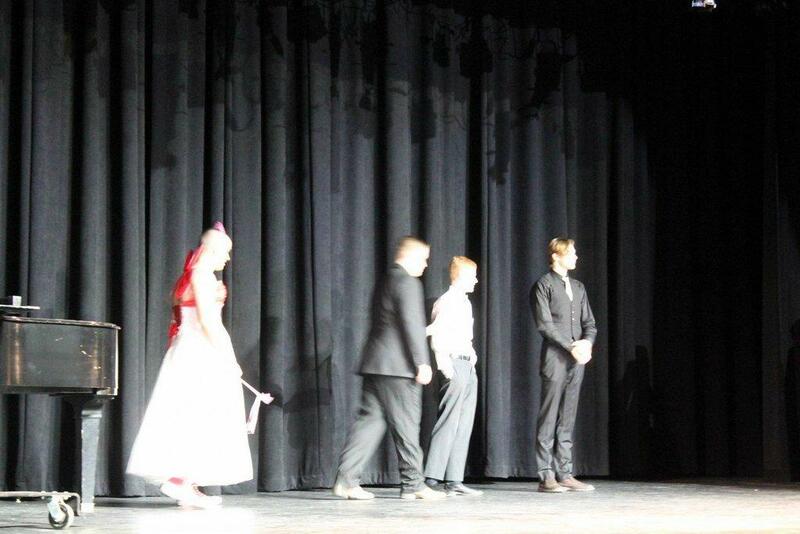 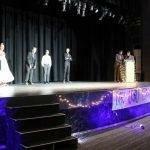 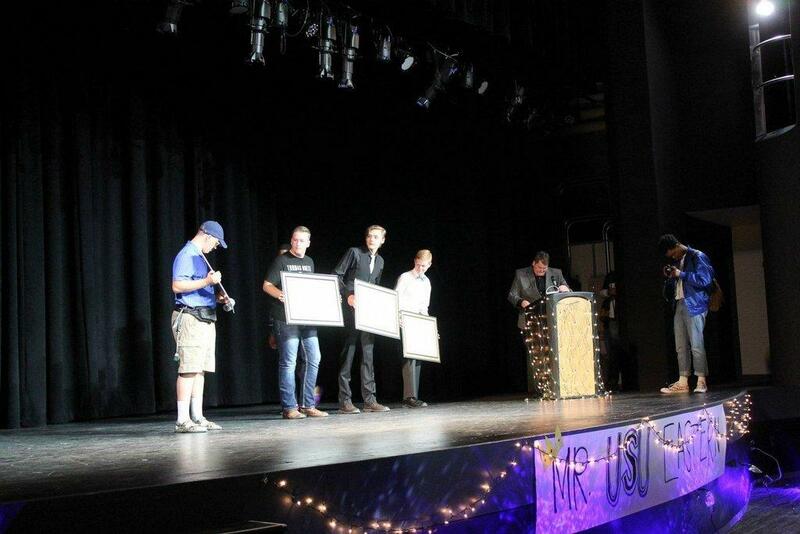 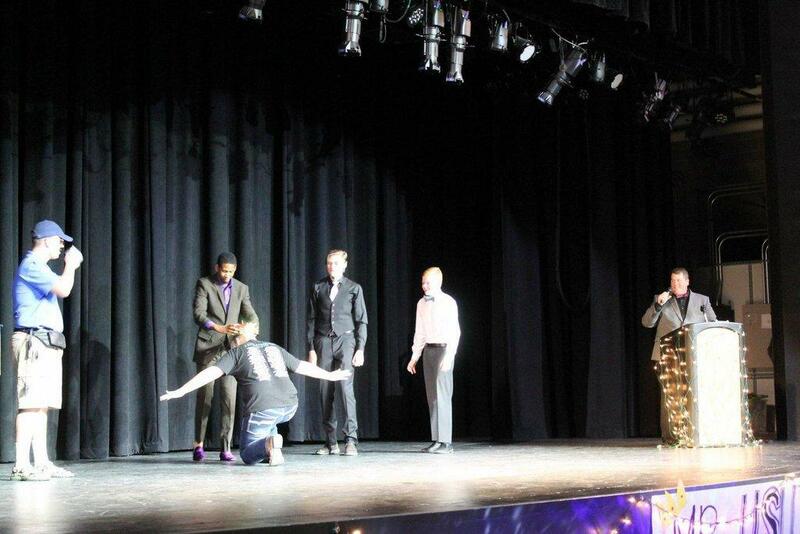 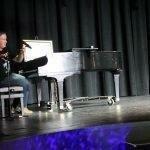 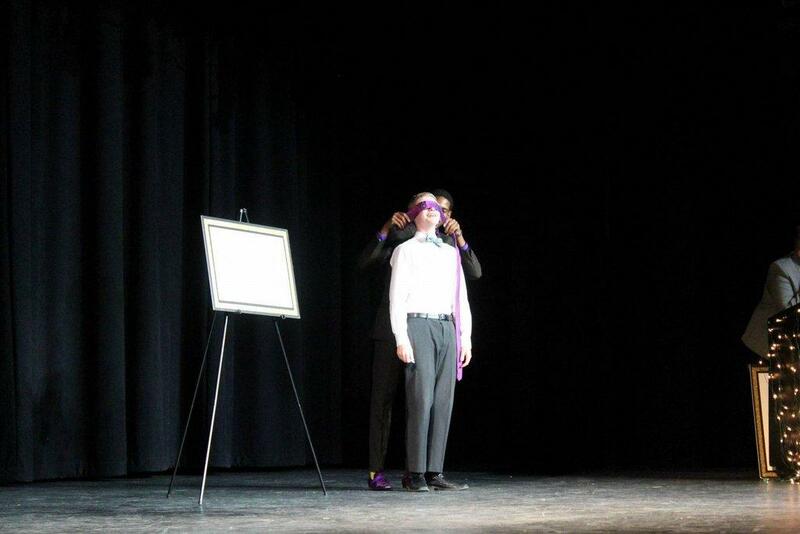 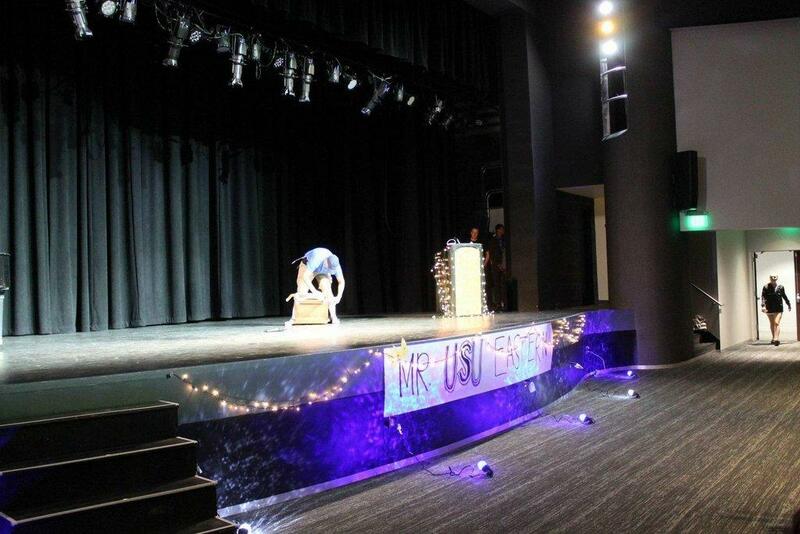 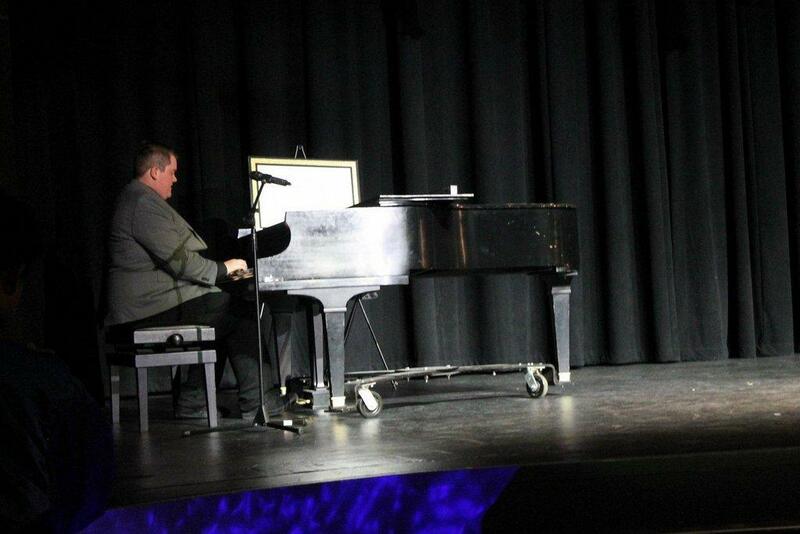 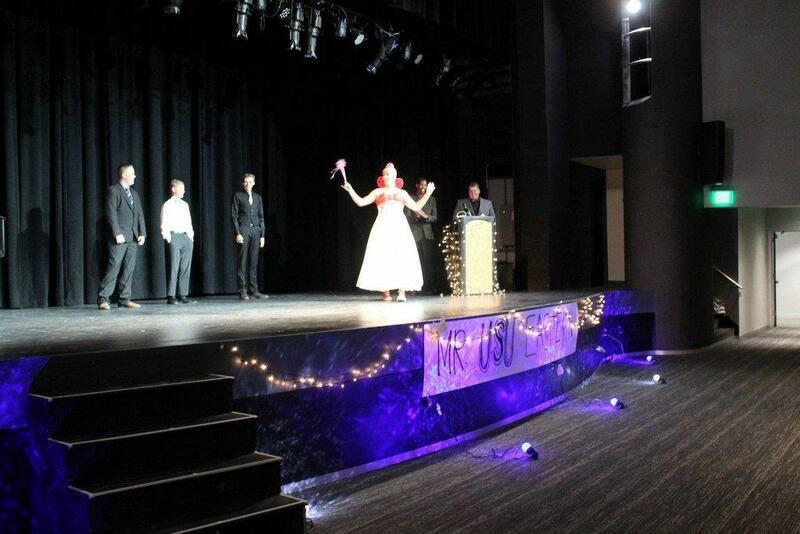 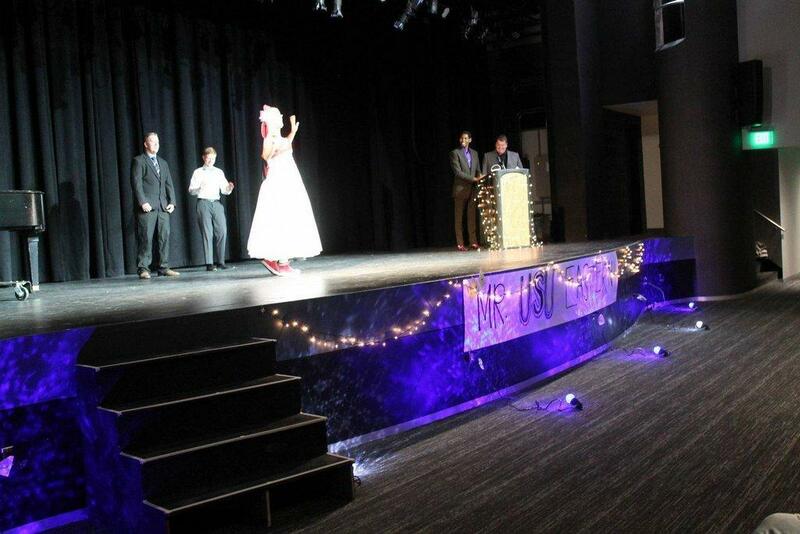 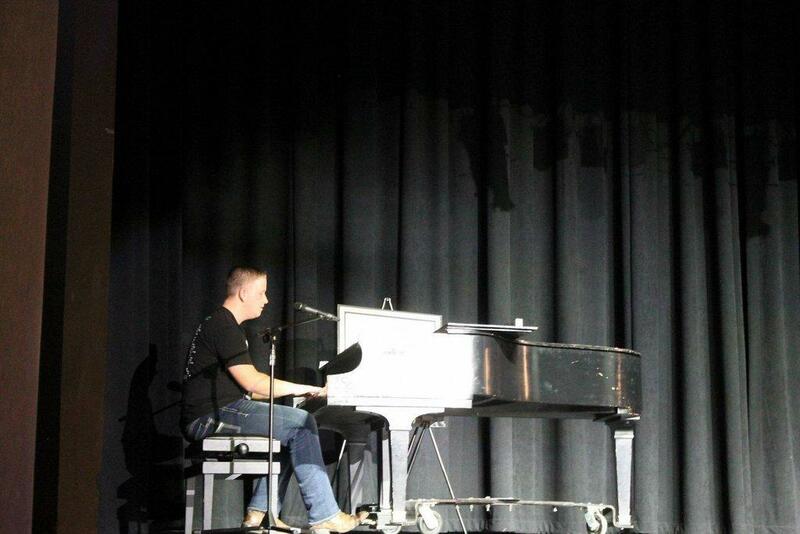 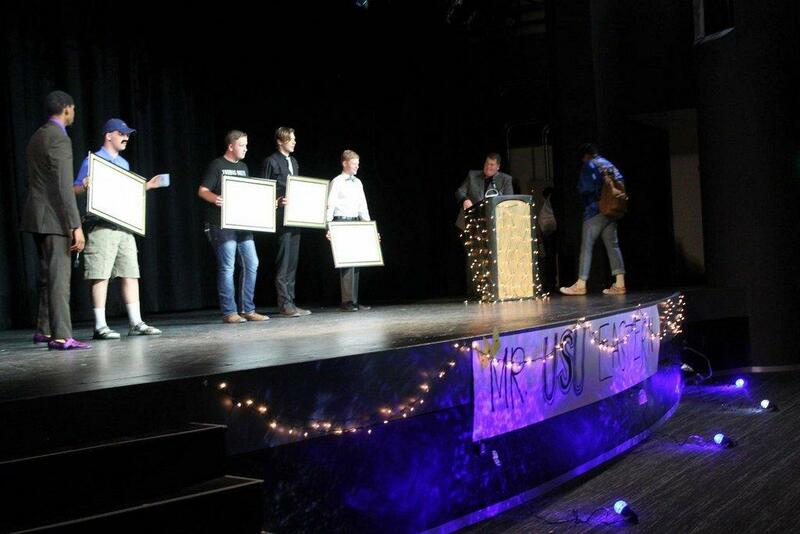 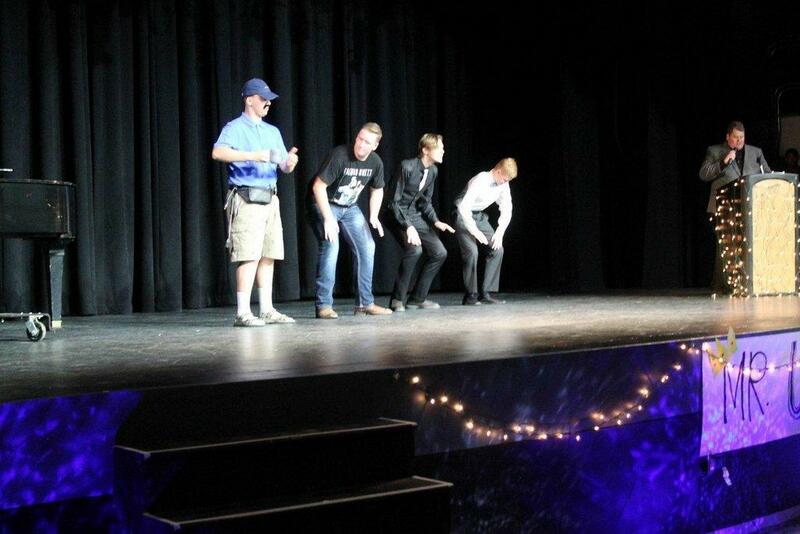 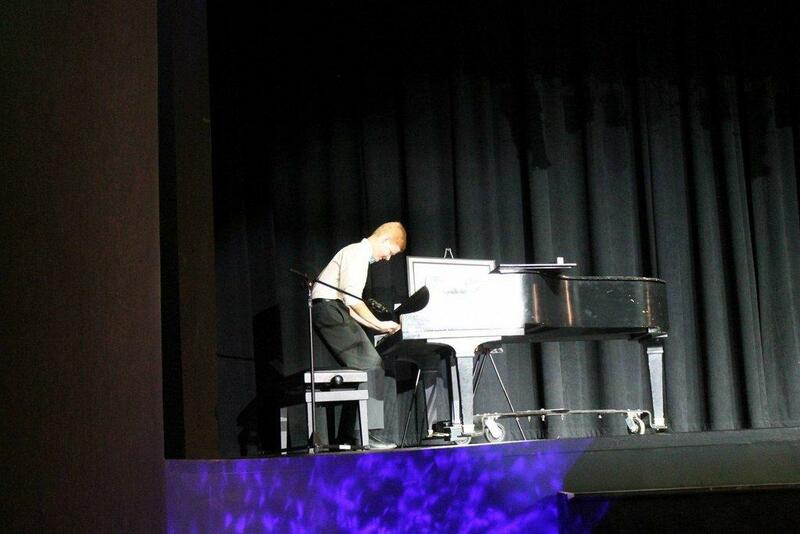 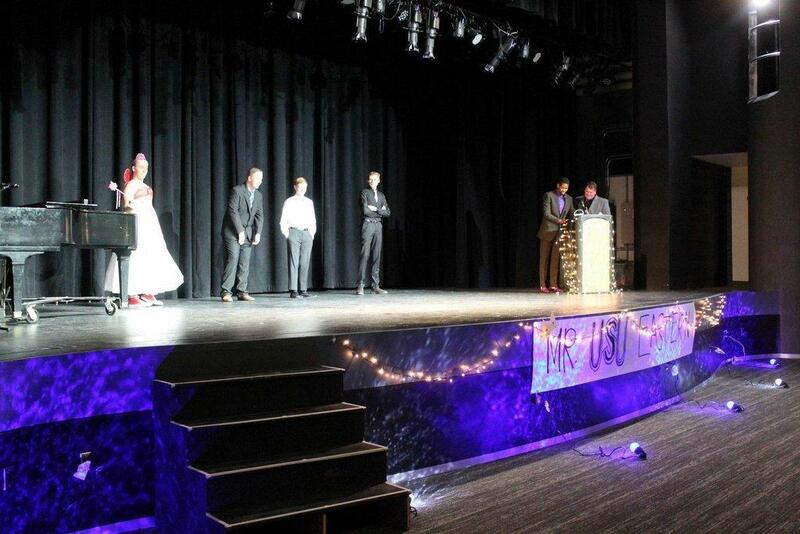 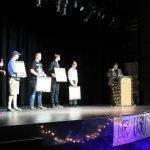 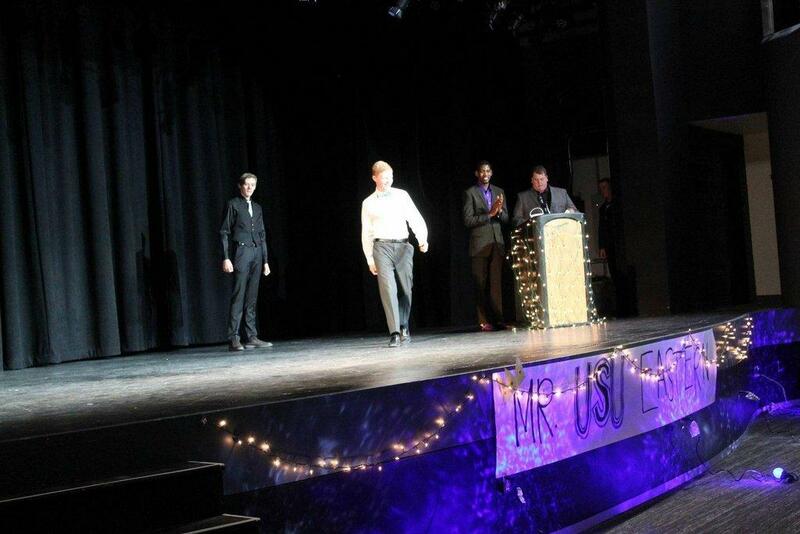 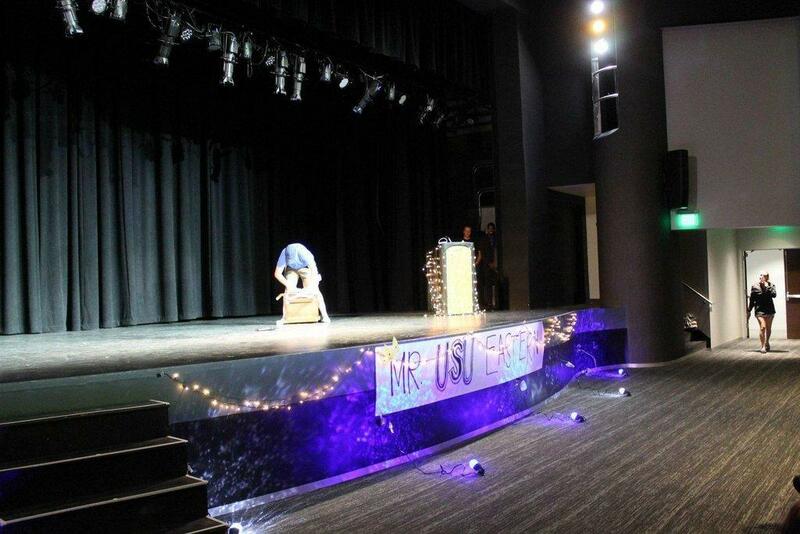 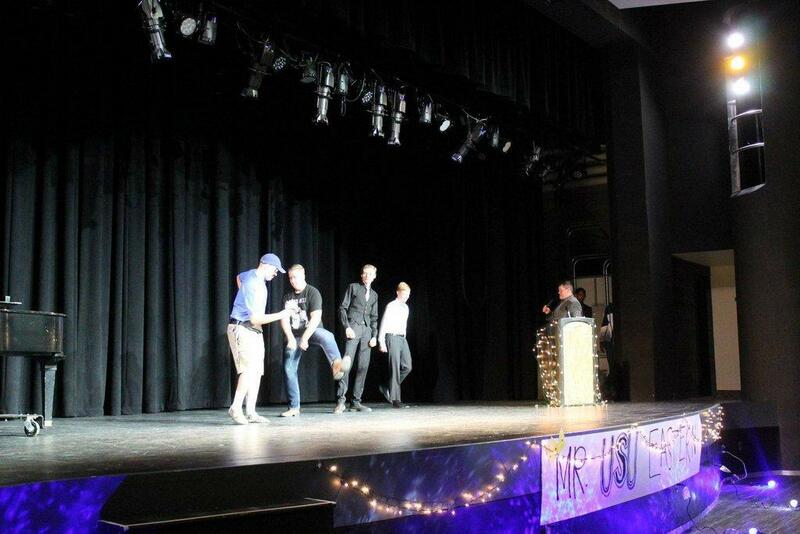 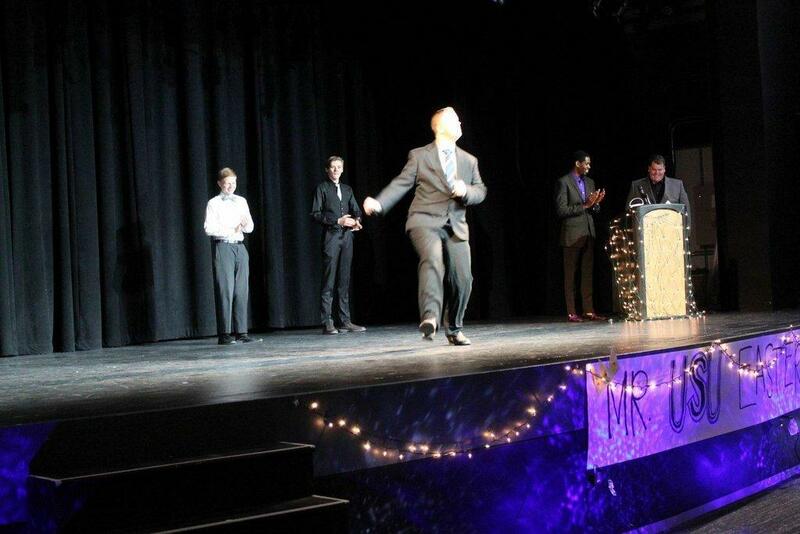 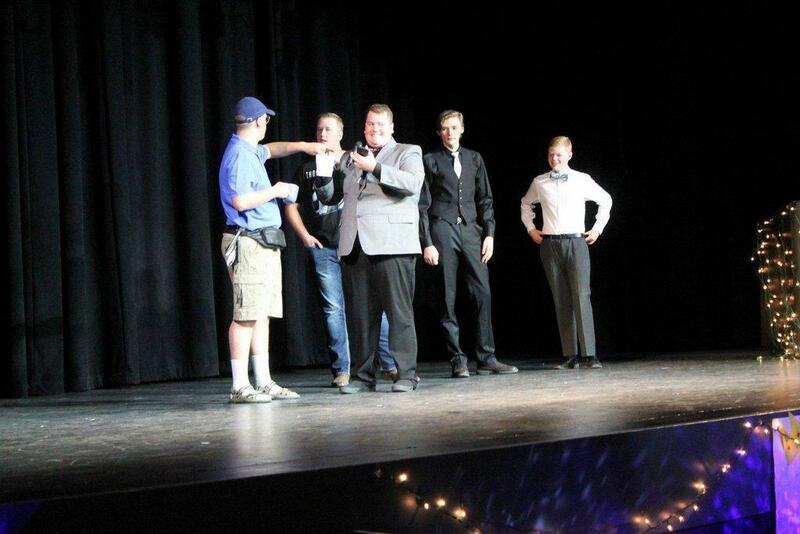 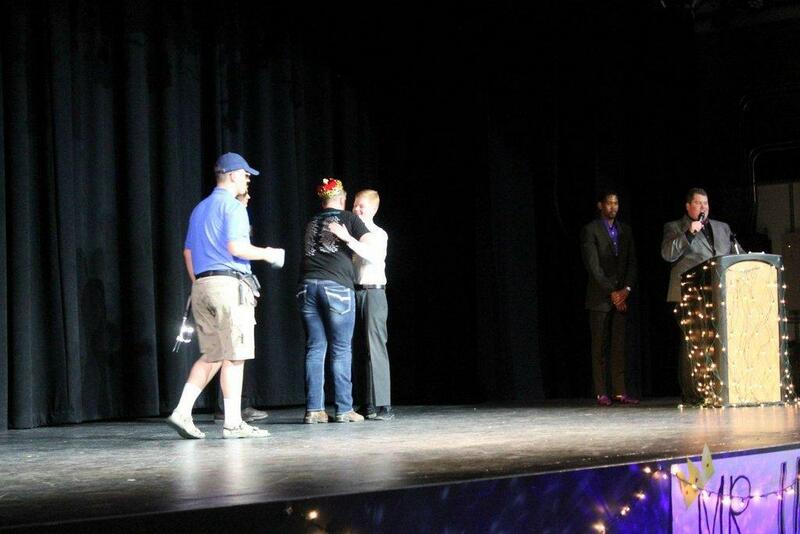 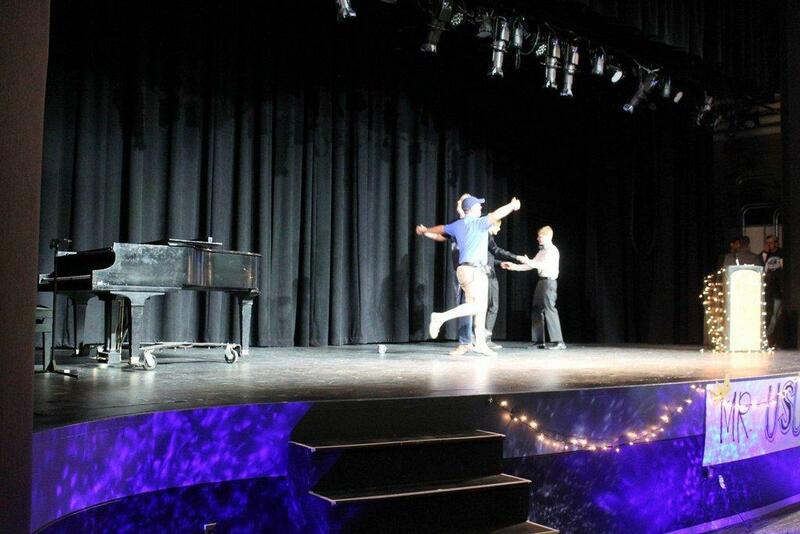 USU Eastern hosted its annual Mr. USU Eastern contest at the Geary Events Center on Oct. 26. 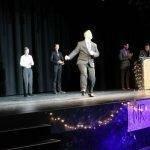 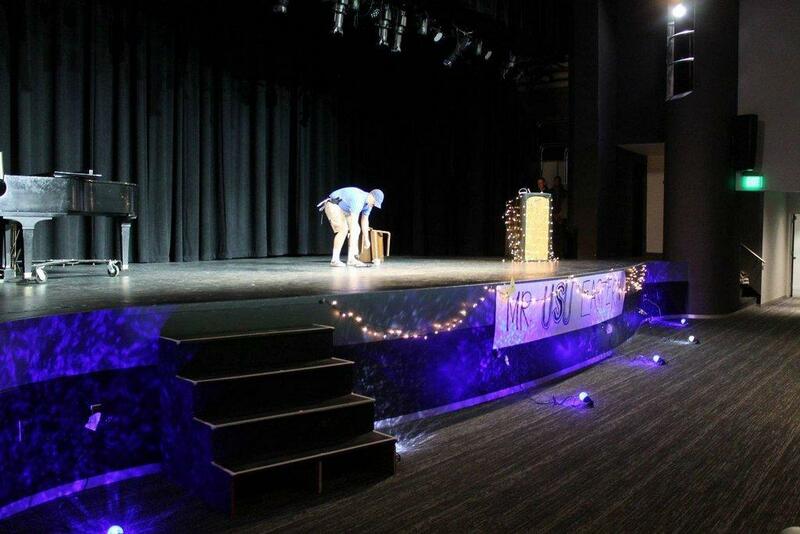 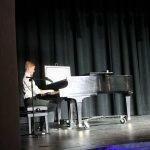 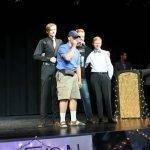 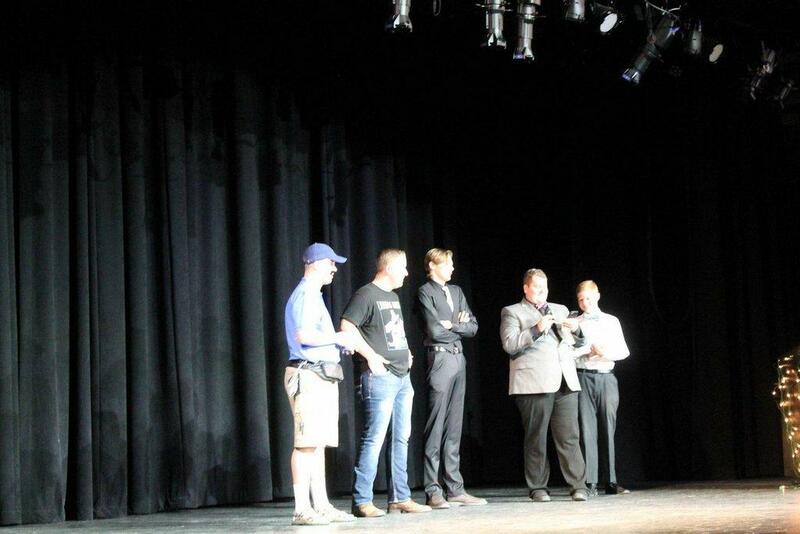 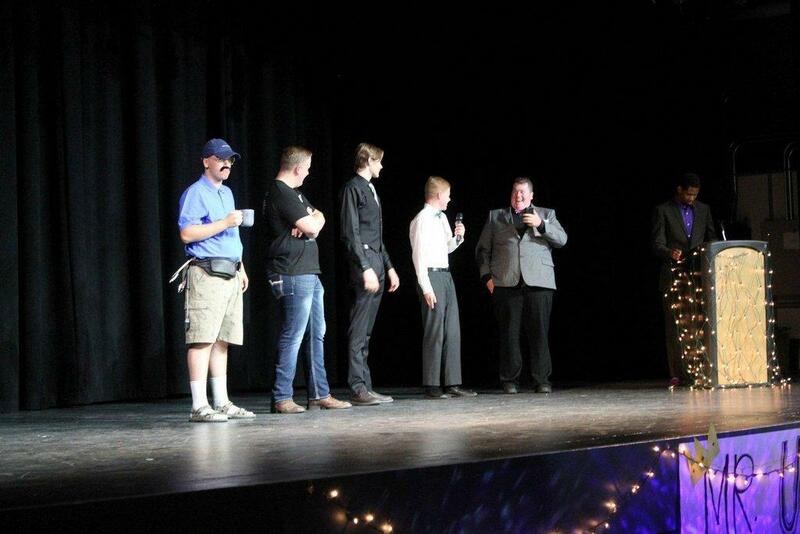 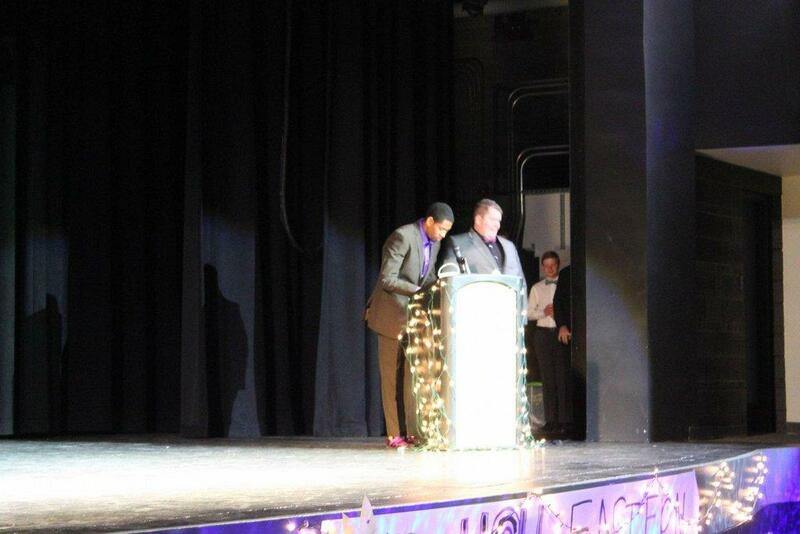 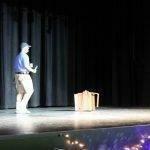 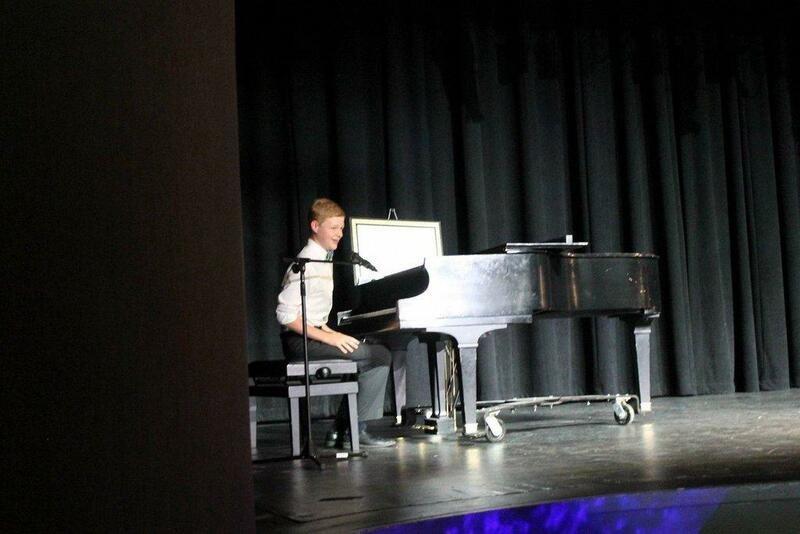 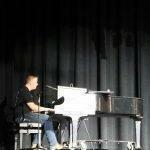 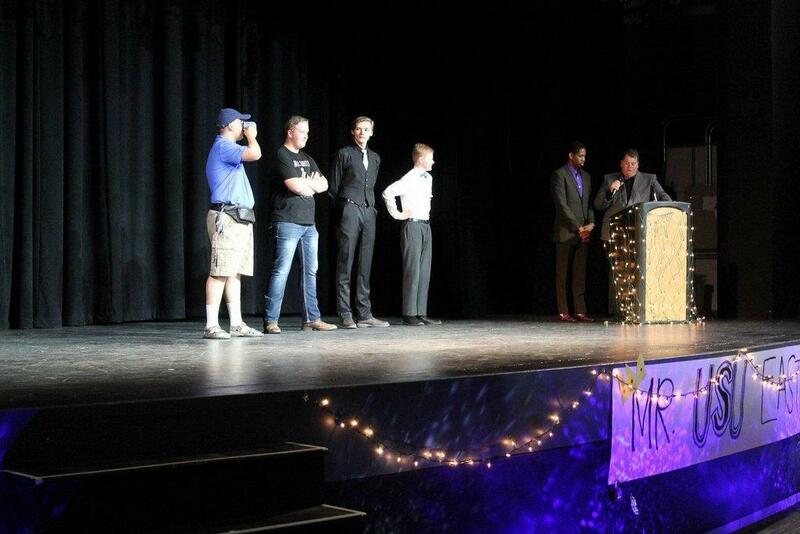 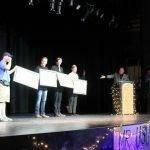 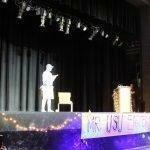 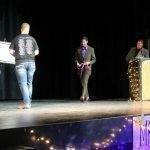 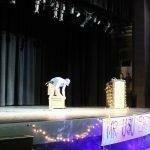 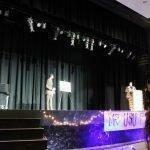 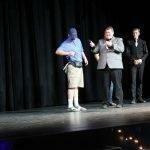 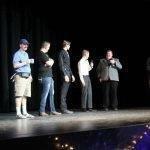 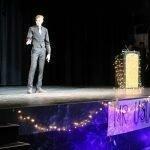 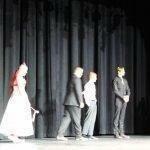 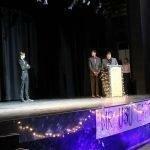 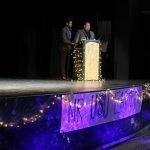 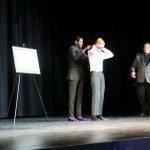 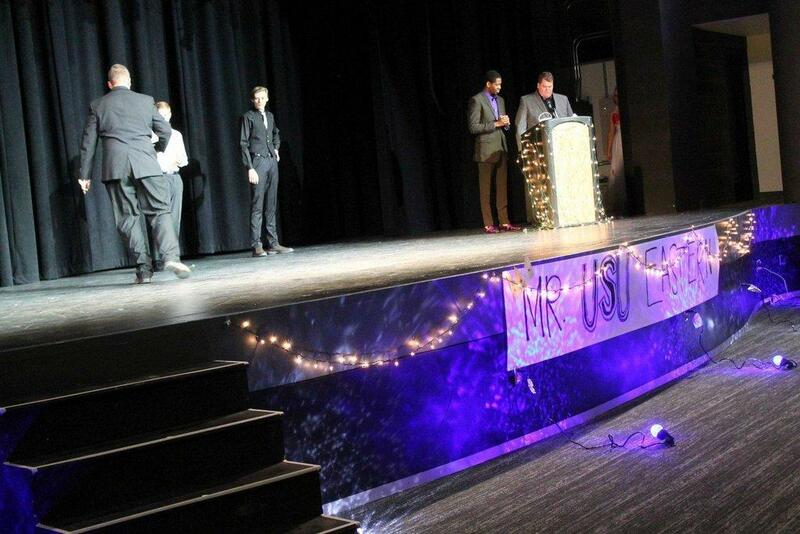 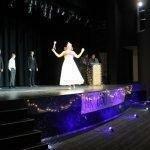 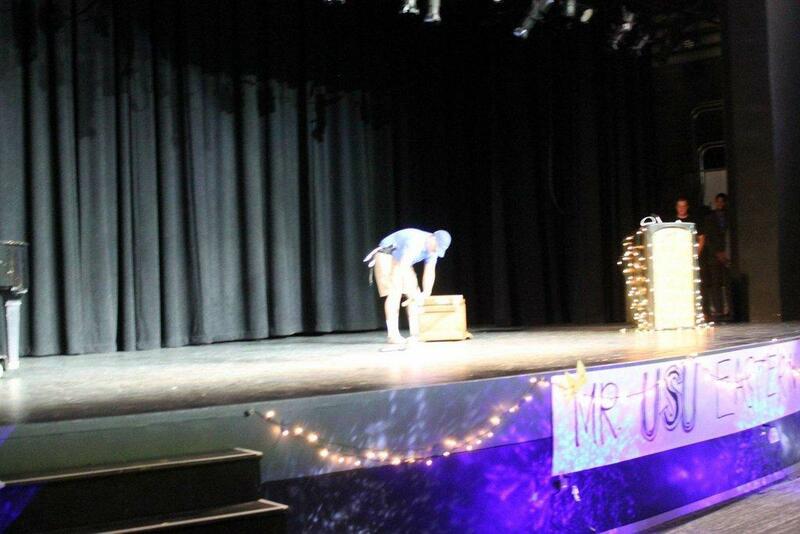 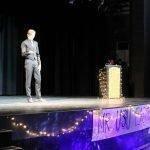 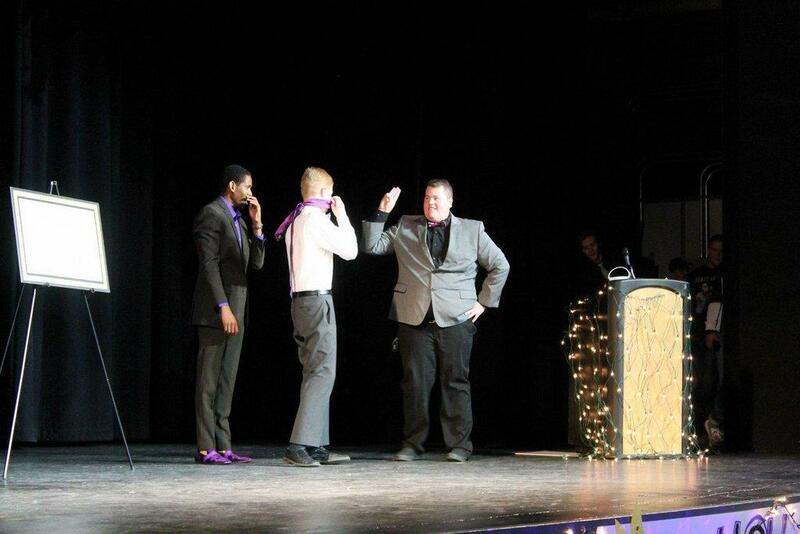 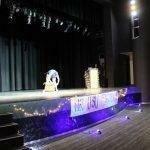 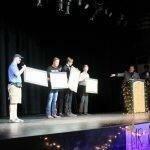 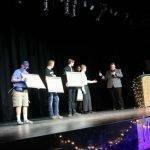 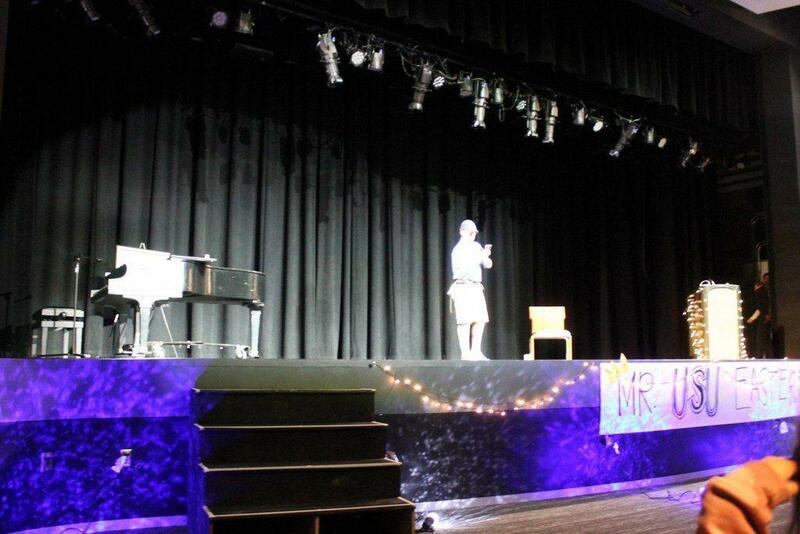 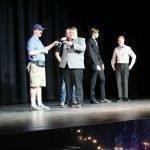 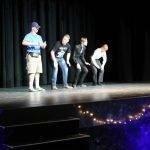 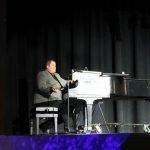 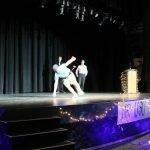 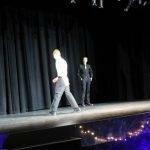 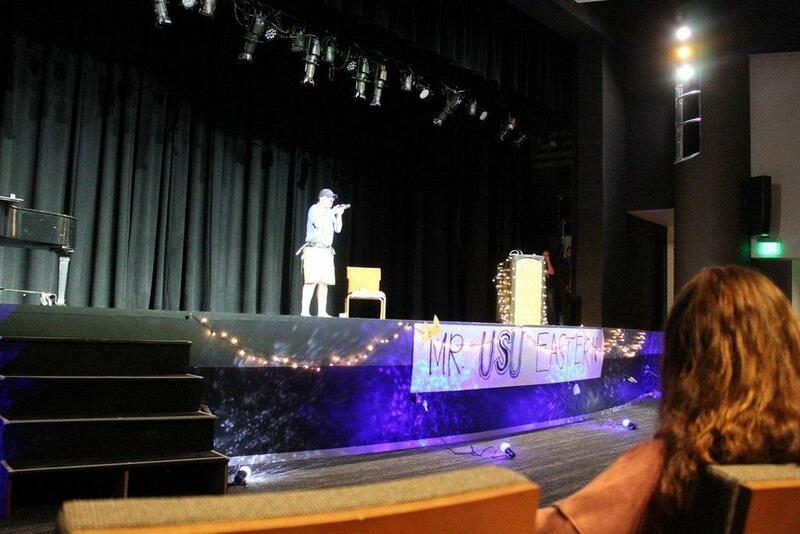 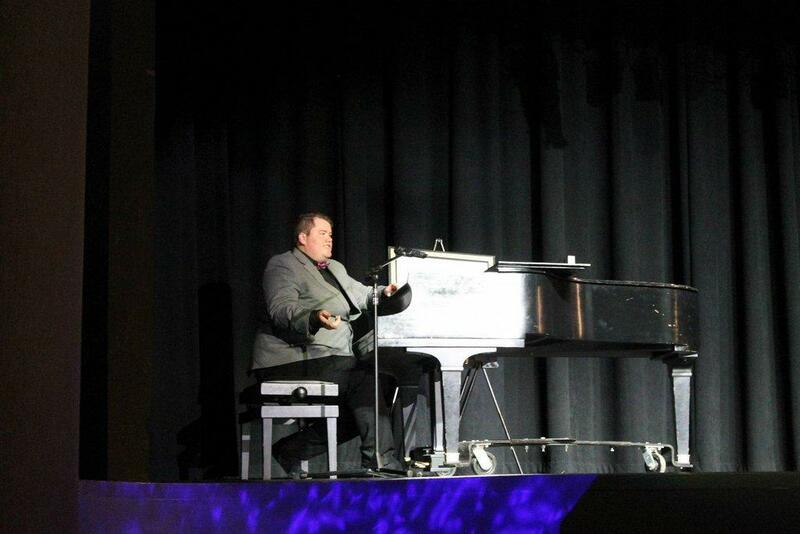 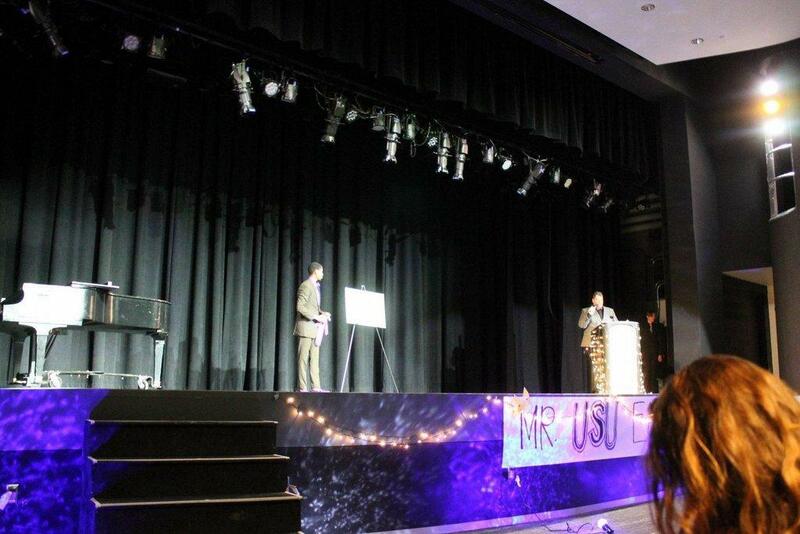 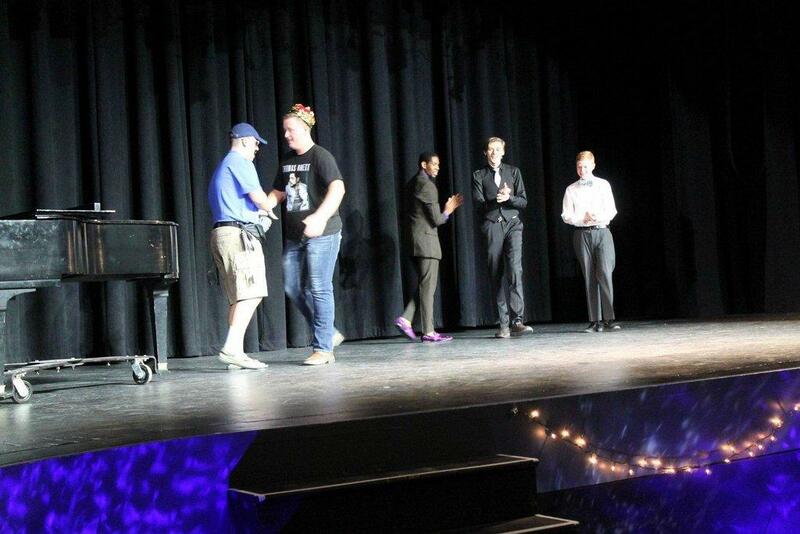 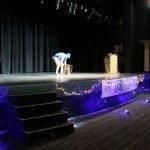 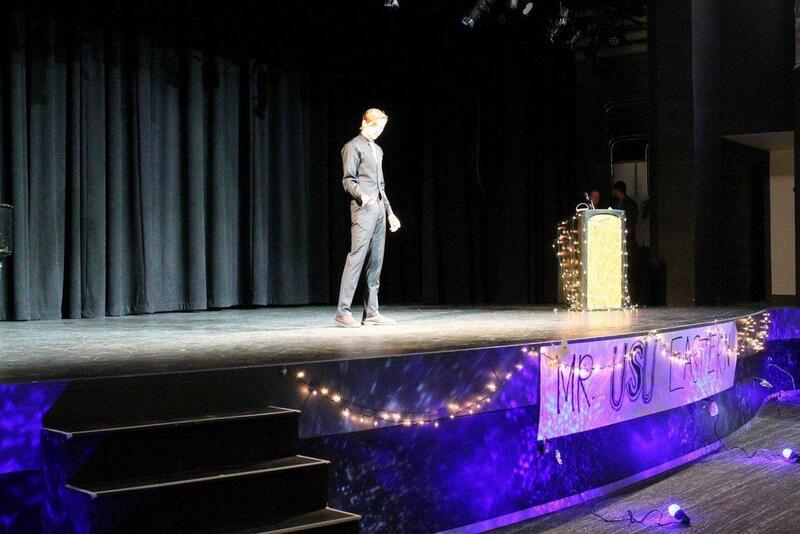 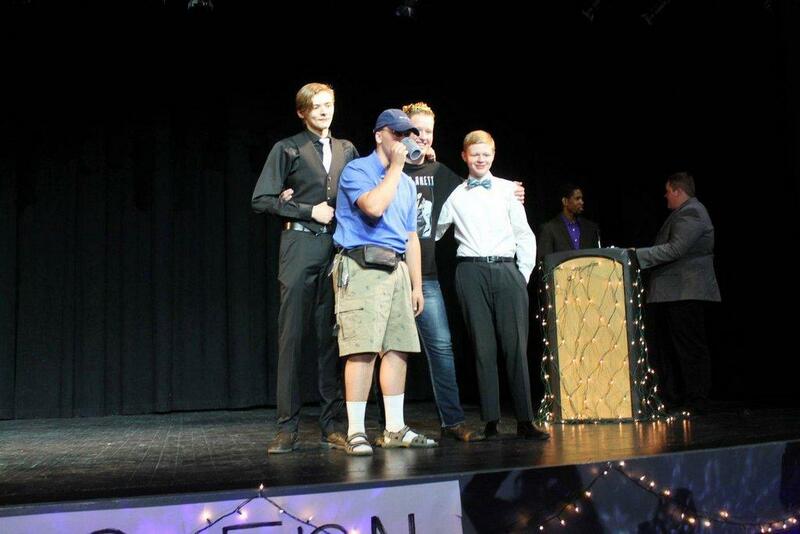 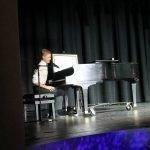 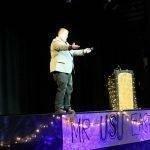 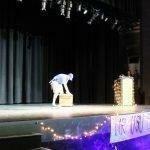 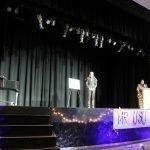 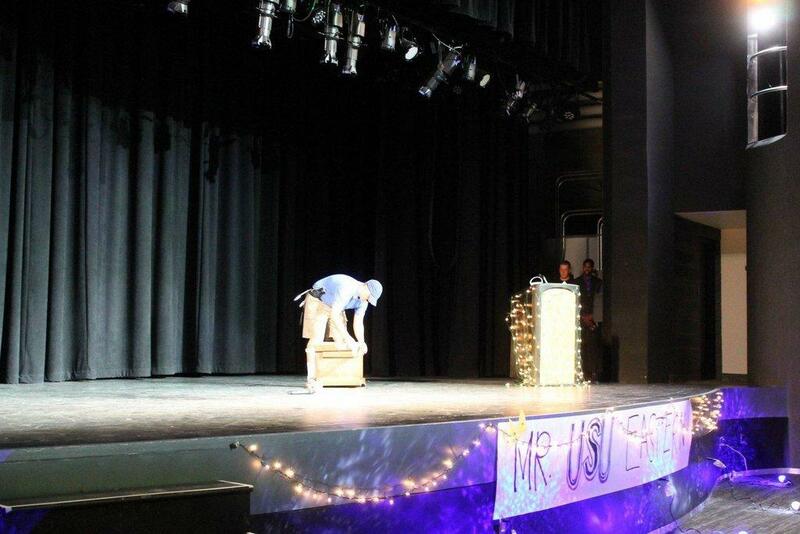 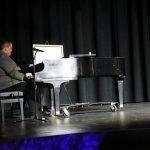 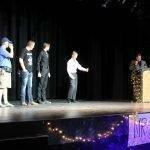 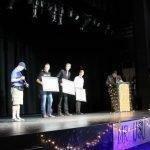 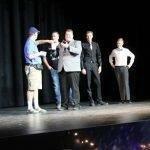 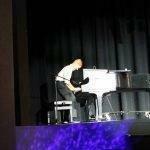 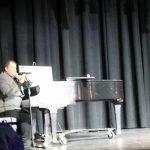 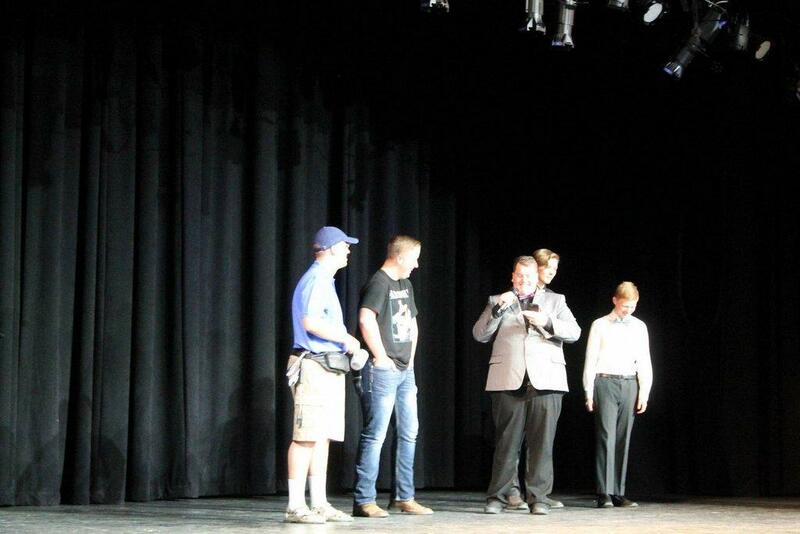 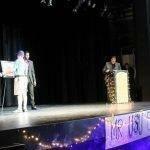 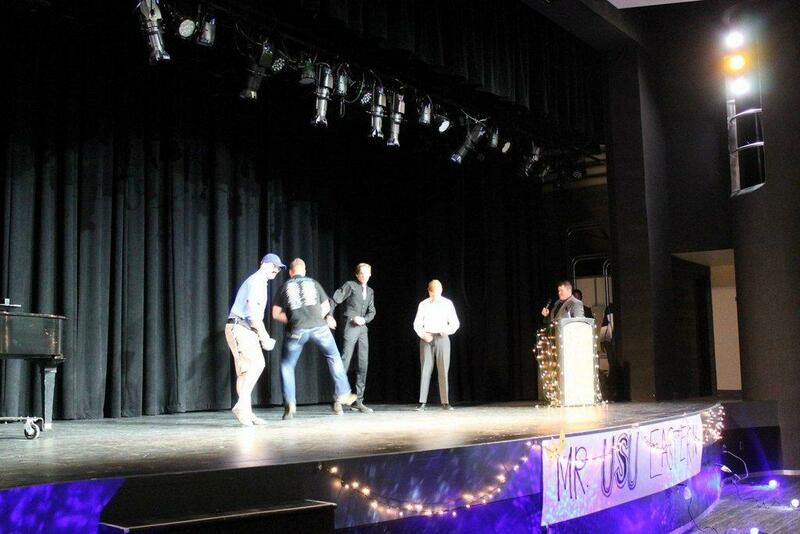 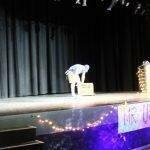 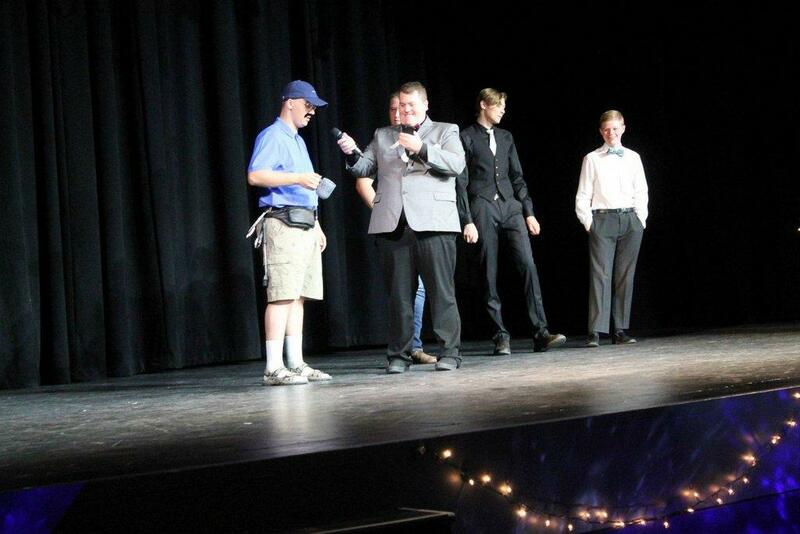 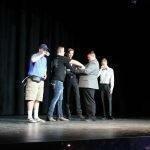 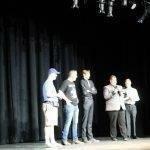 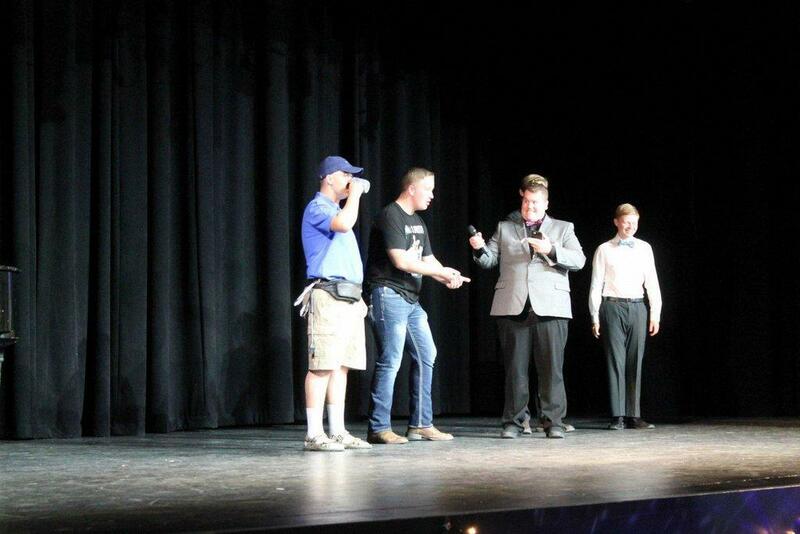 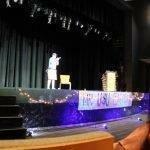 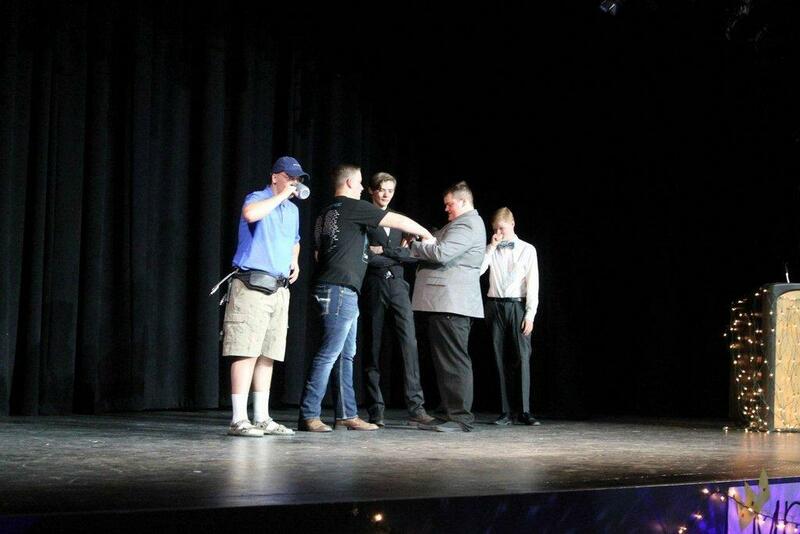 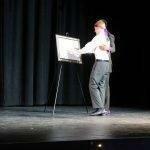 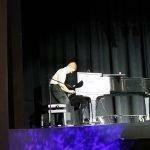 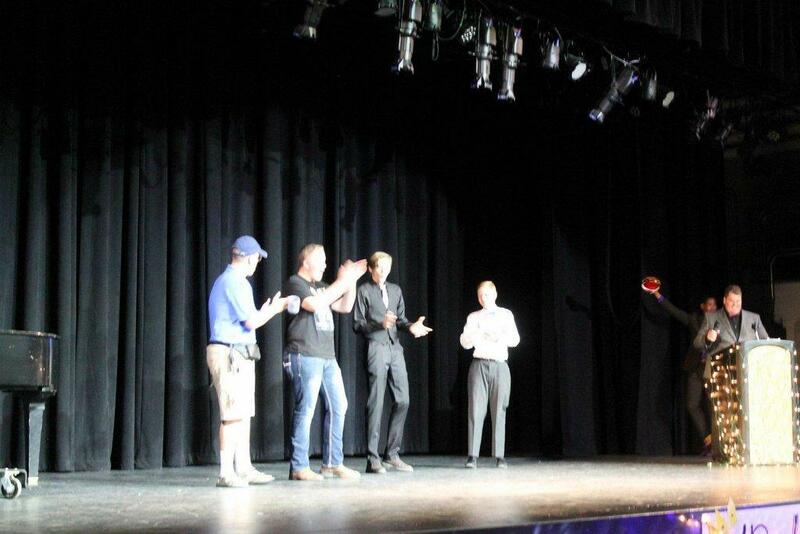 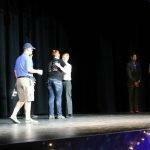 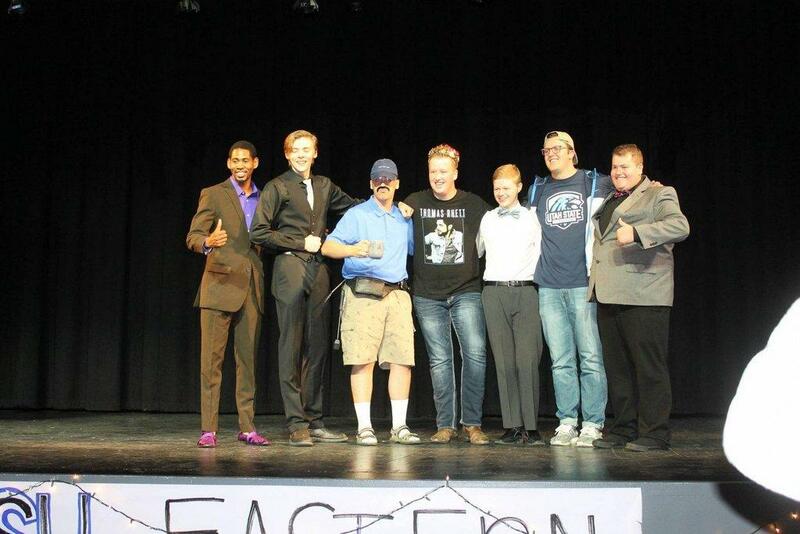 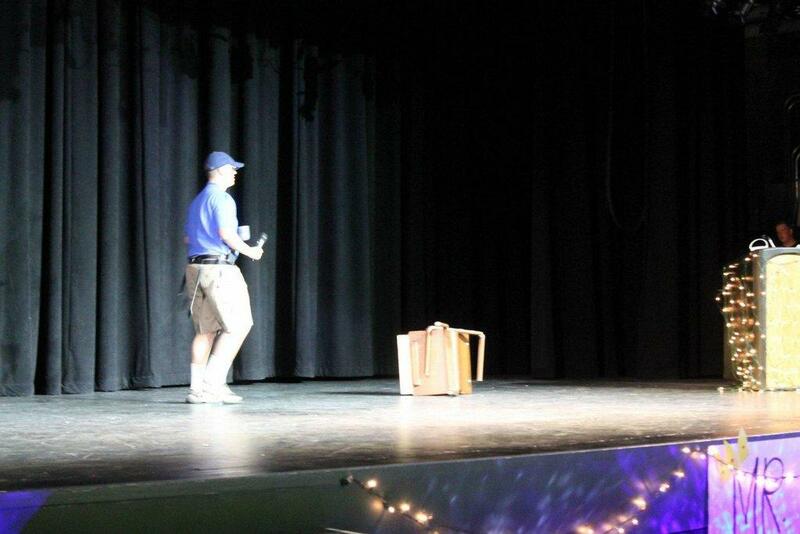 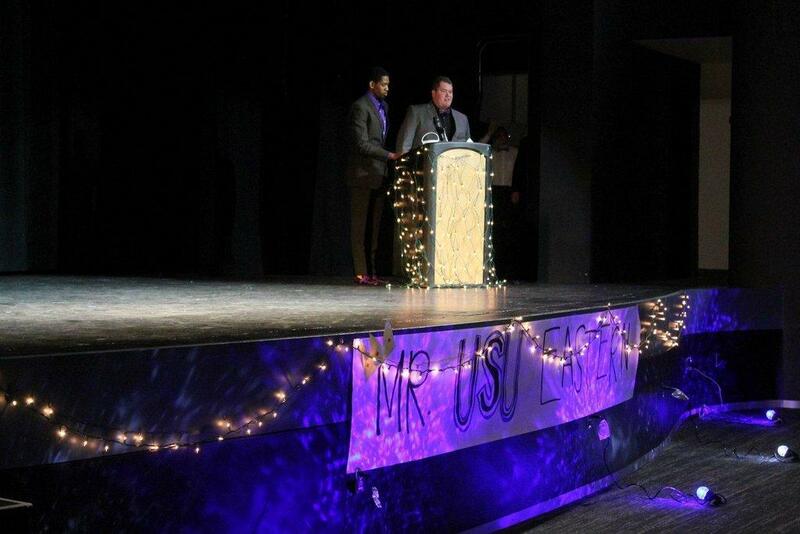 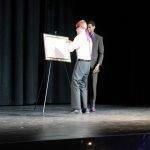 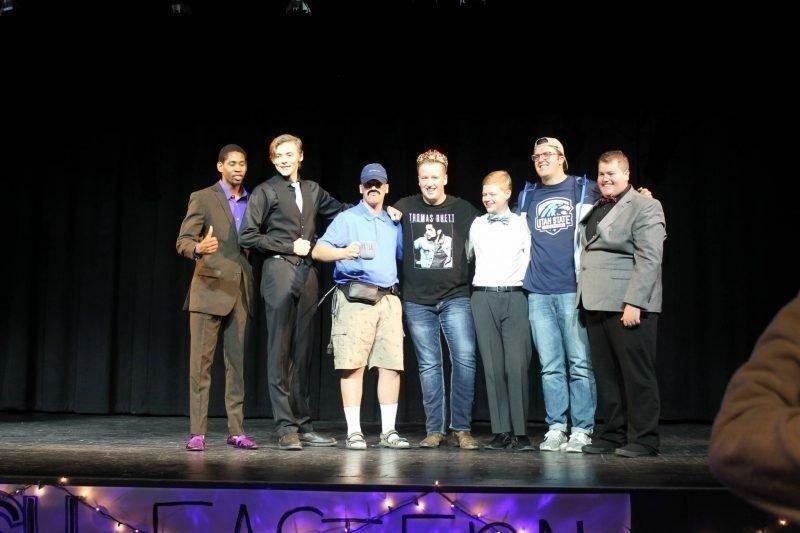 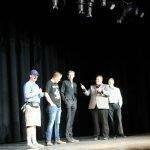 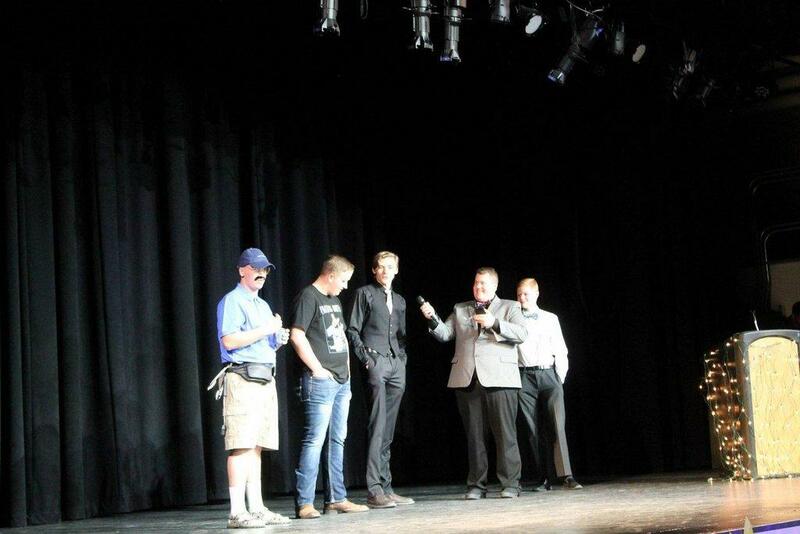 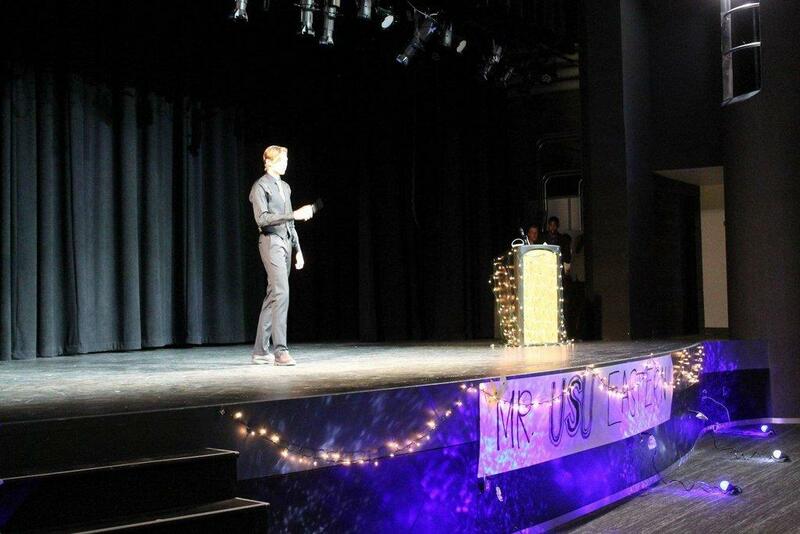 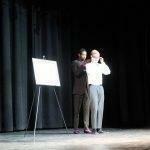 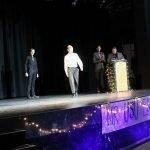 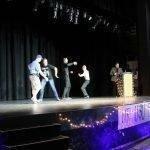 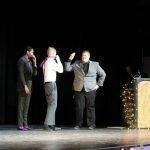 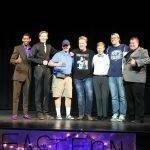 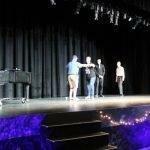 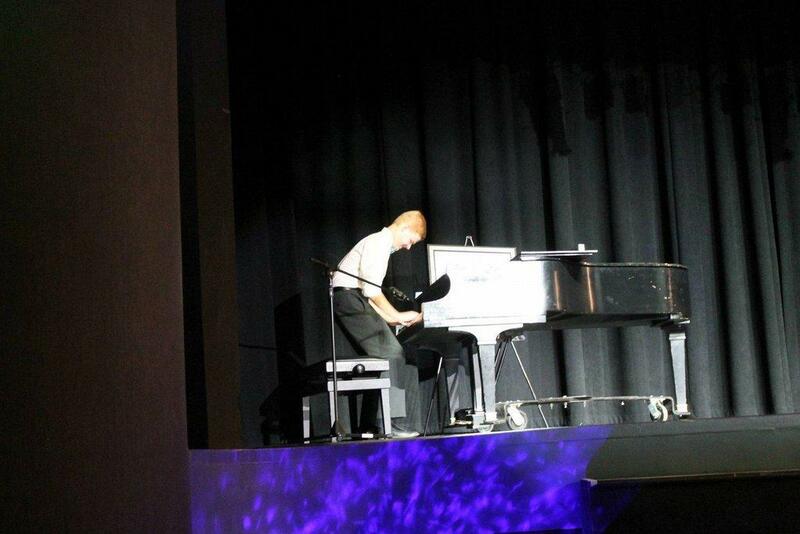 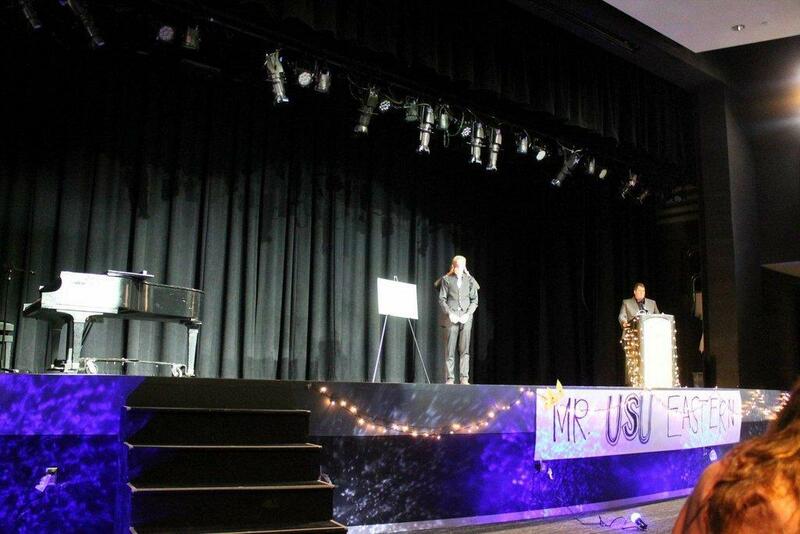 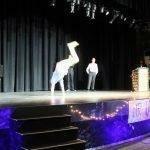 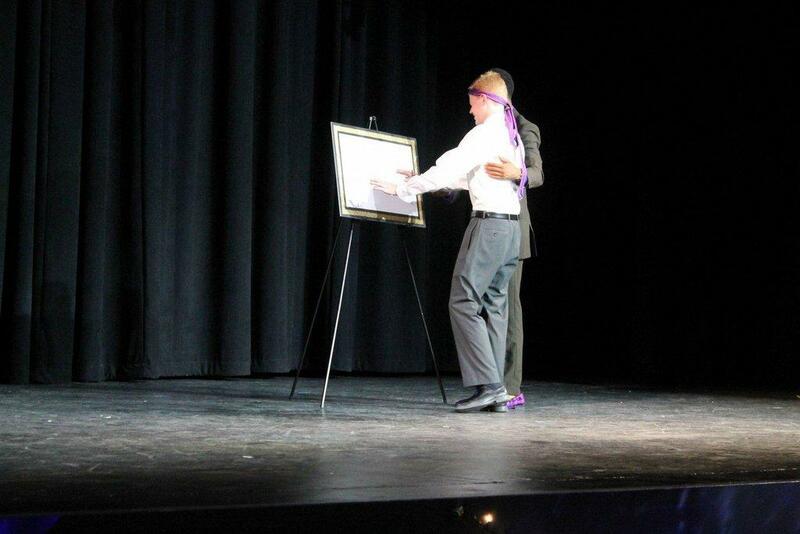 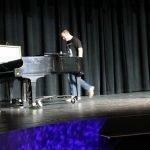 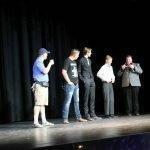 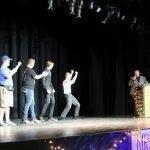 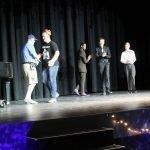 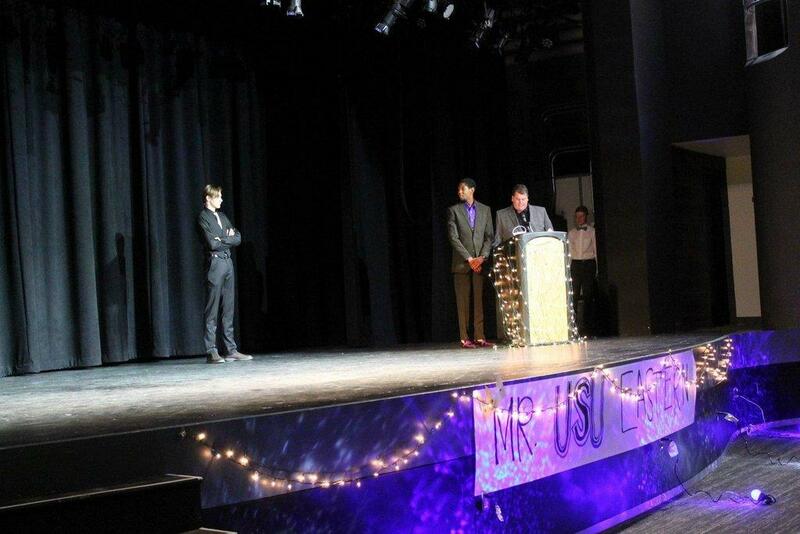 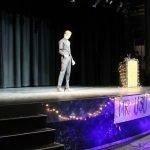 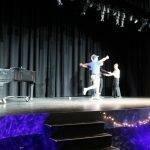 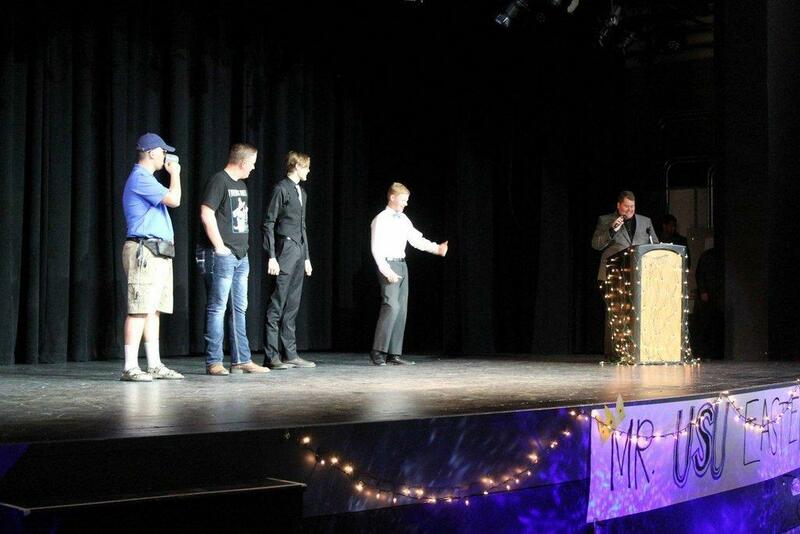 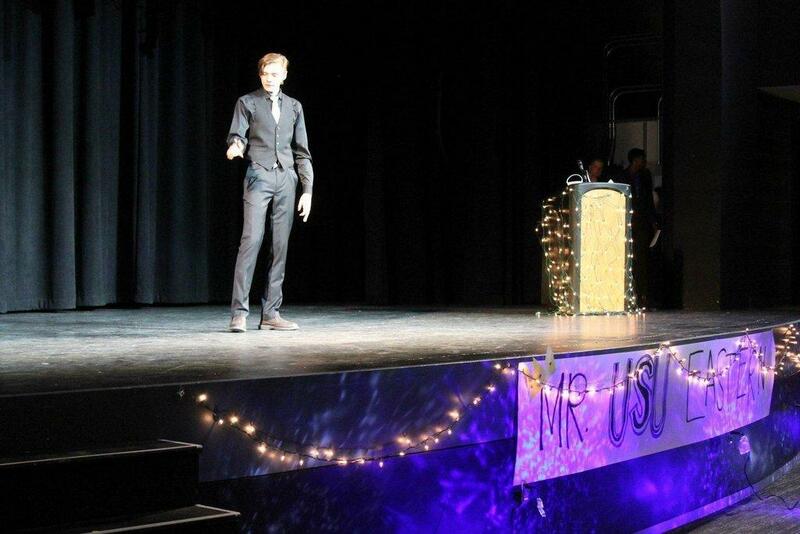 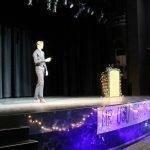 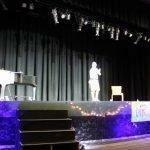 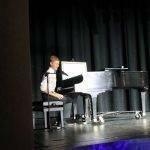 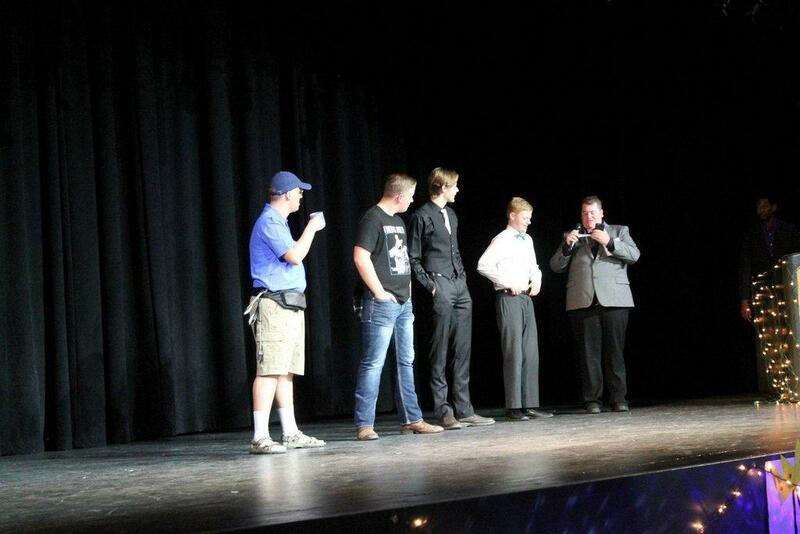 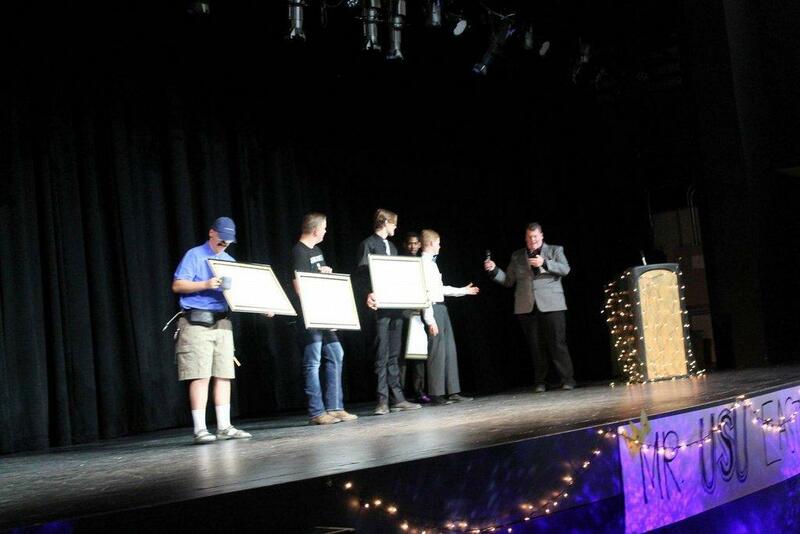 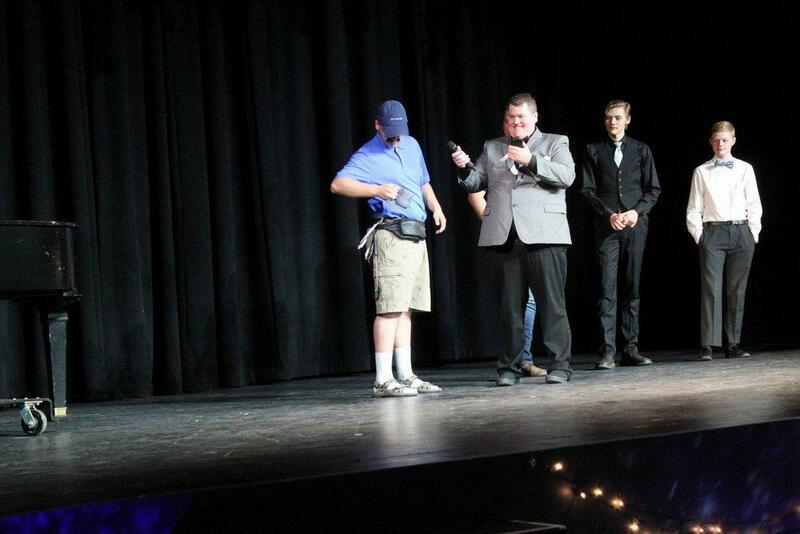 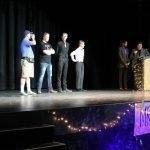 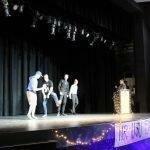 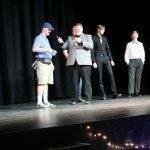 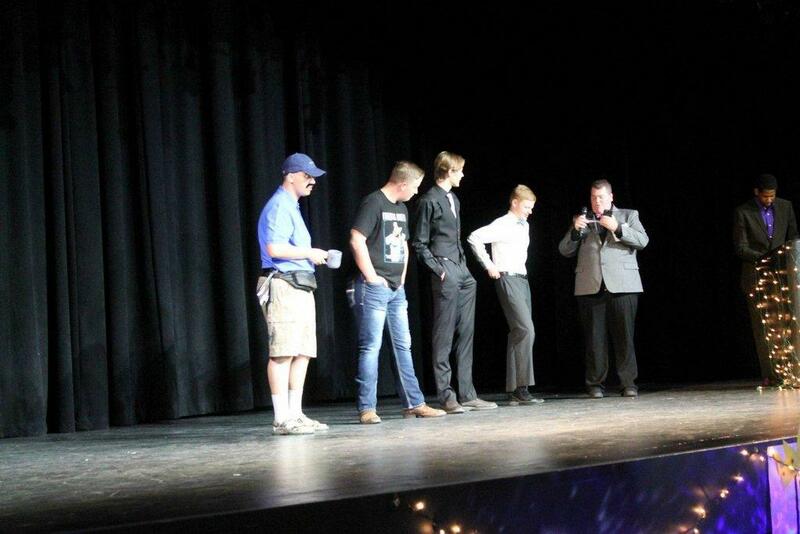 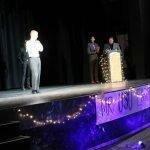 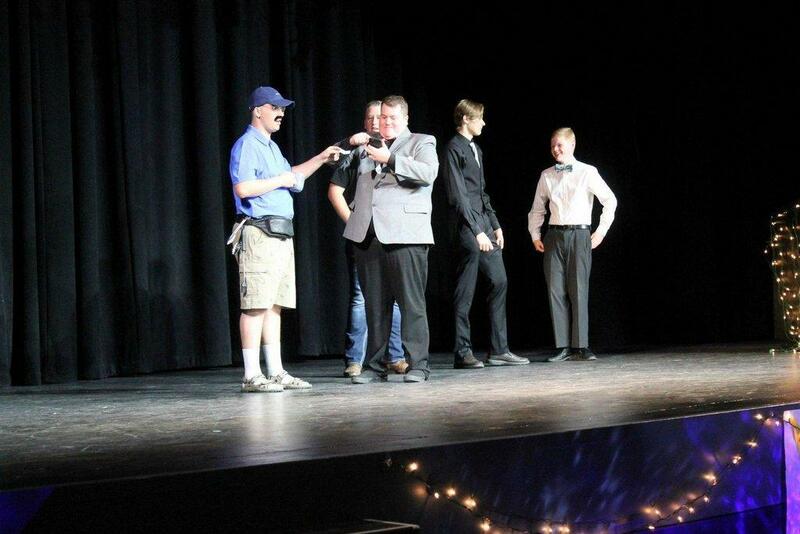 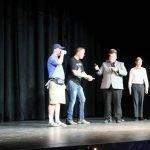 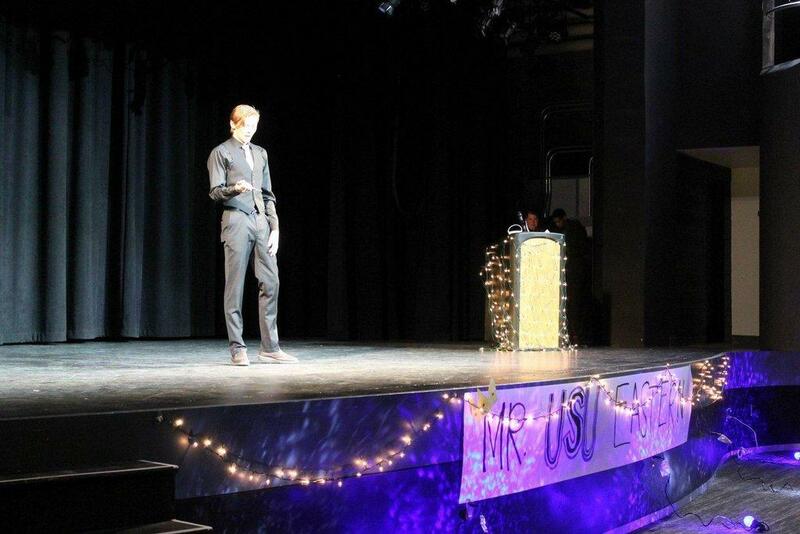 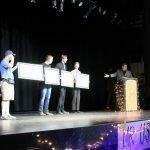 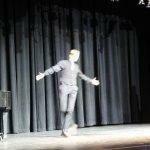 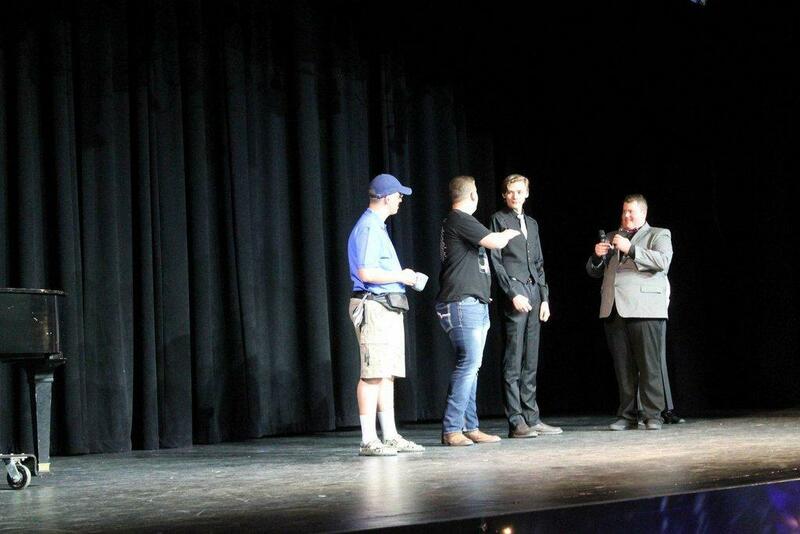 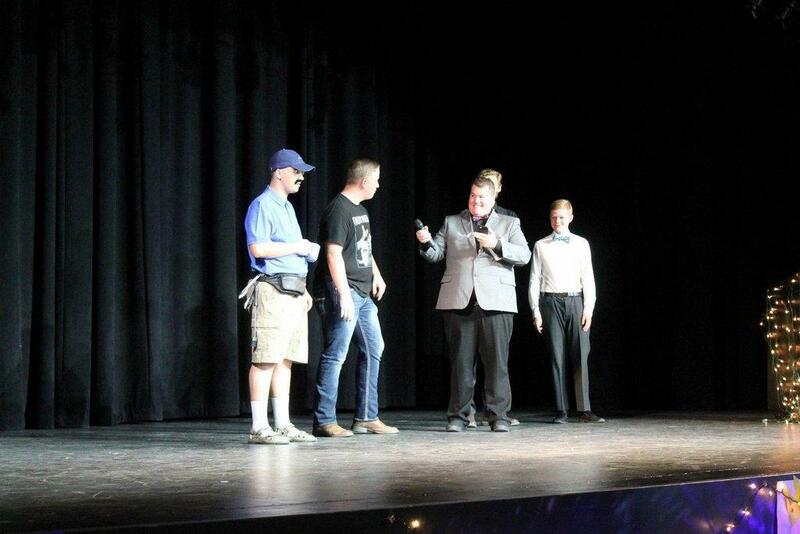 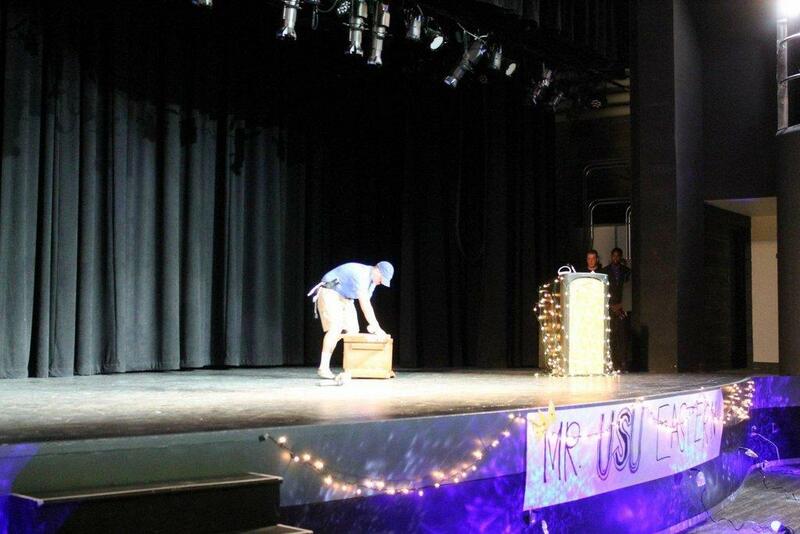 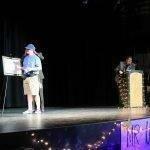 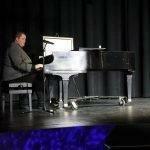 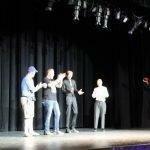 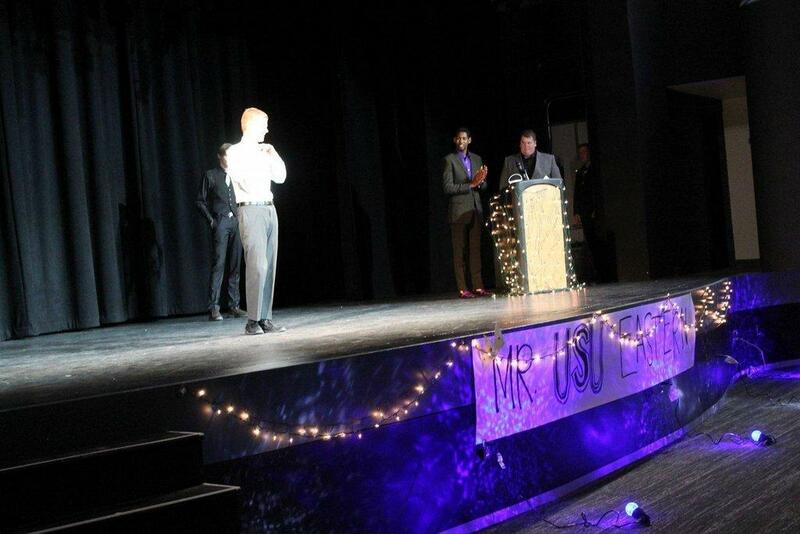 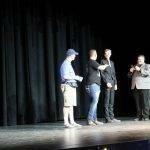 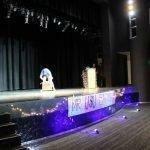 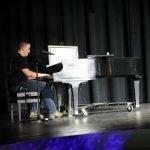 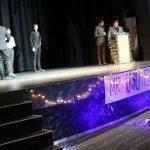 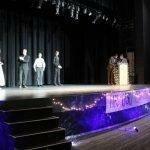 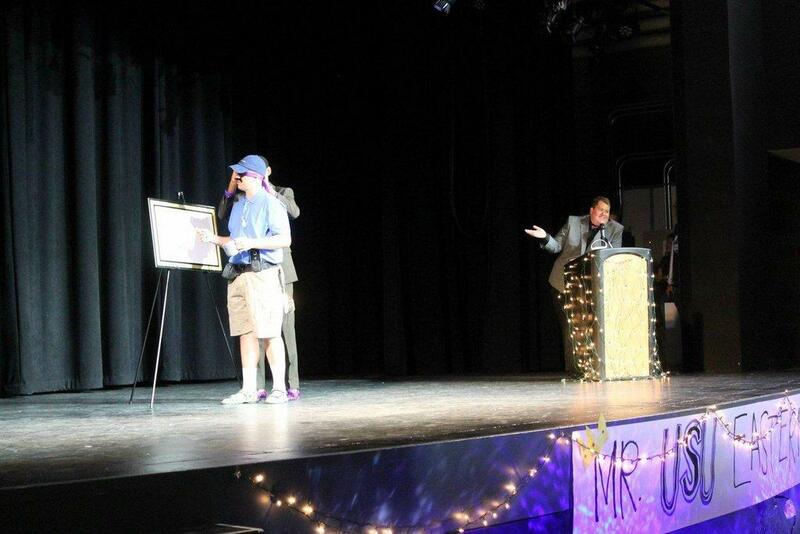 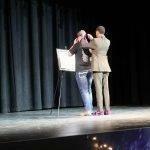 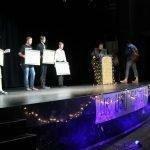 The event was hosted by EUSA and had last years Mr. USU Eastern, Dean Thacker, as the MC. 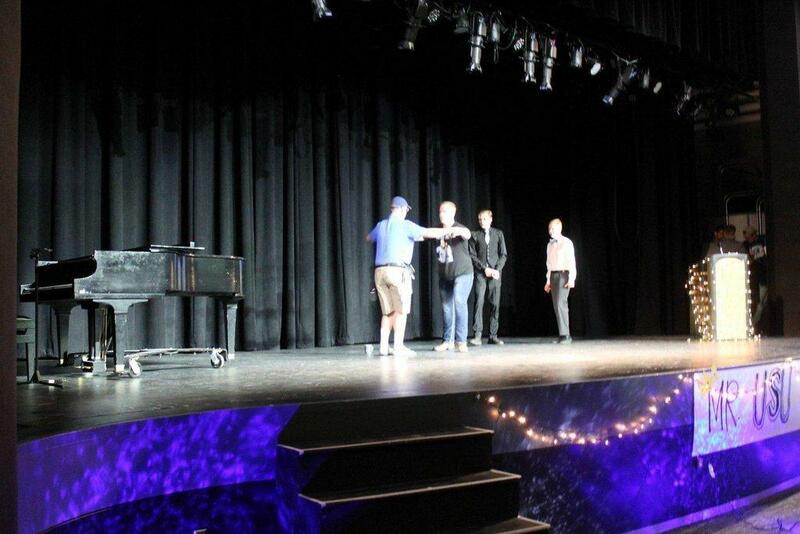 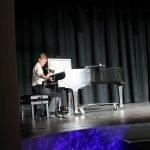 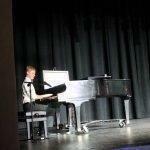 There were four contestants competing for the title. 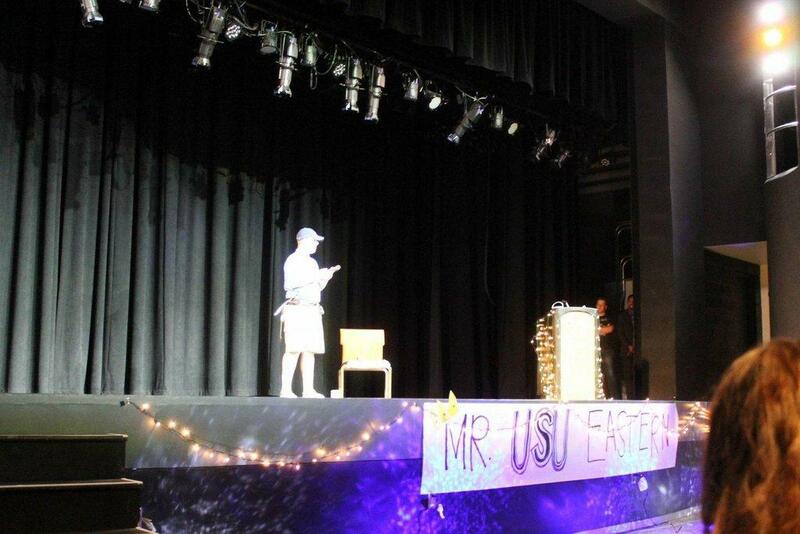 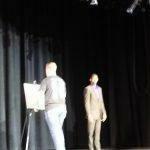 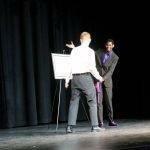 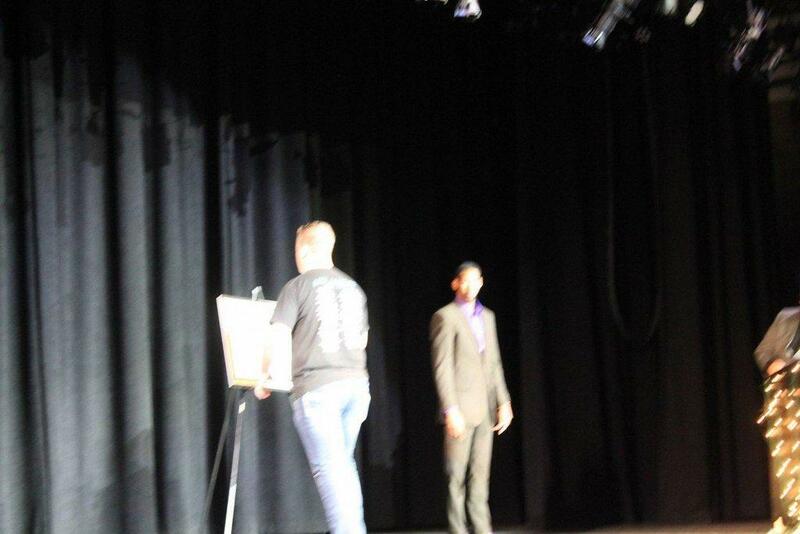 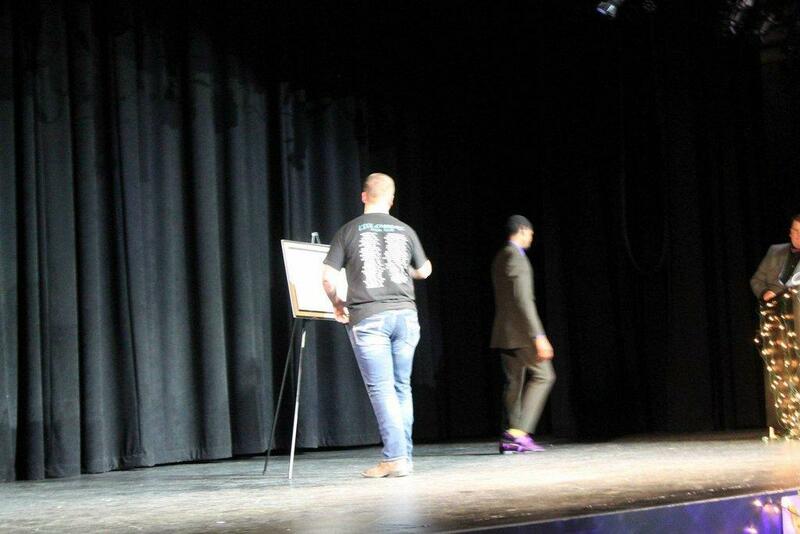 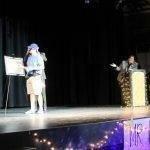 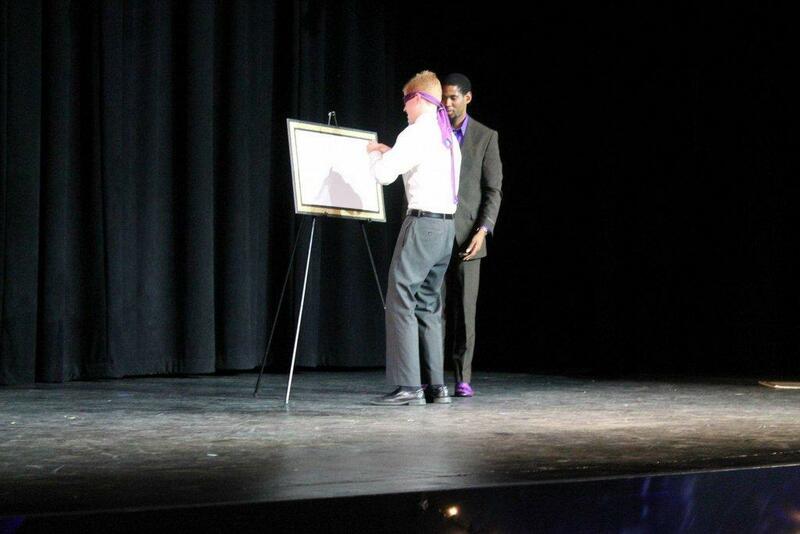 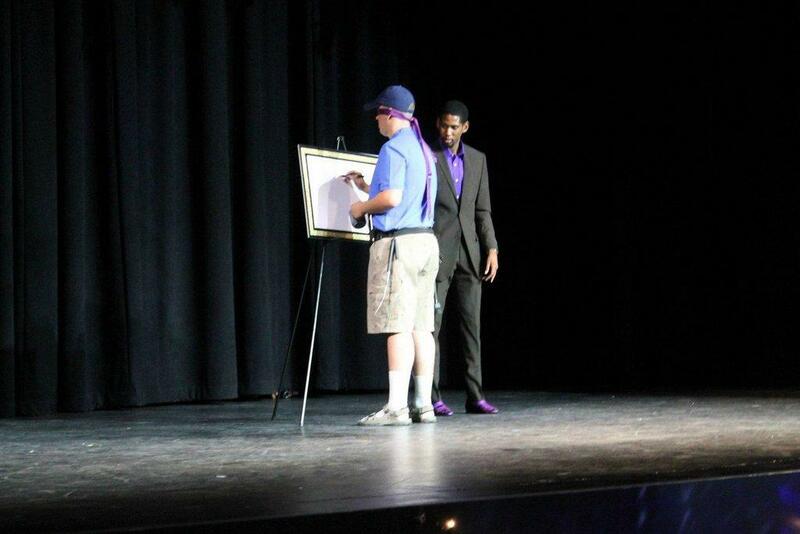 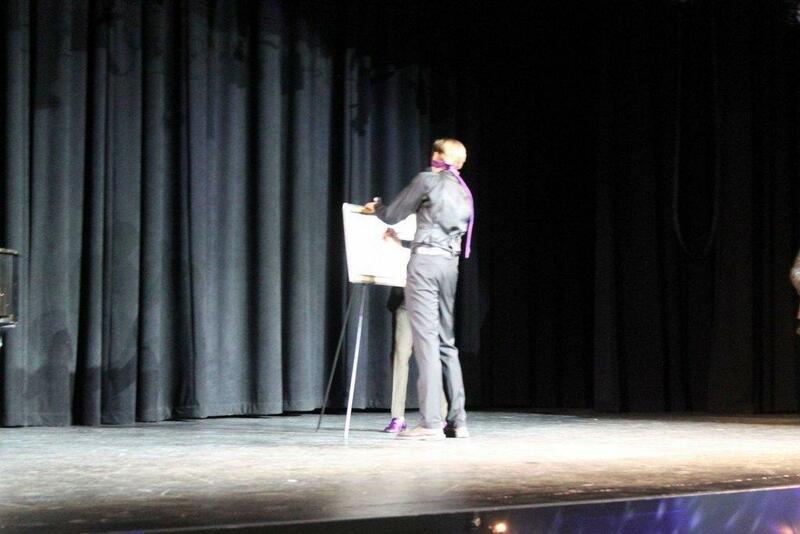 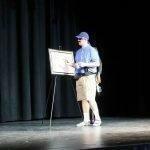 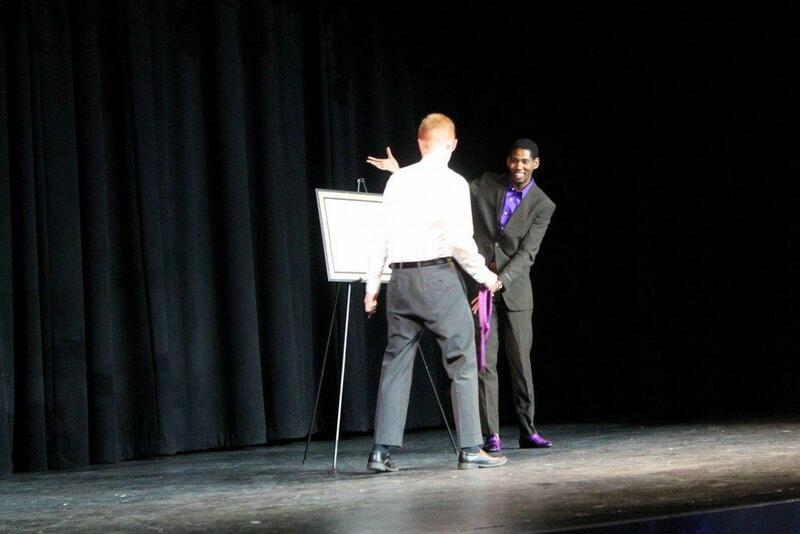 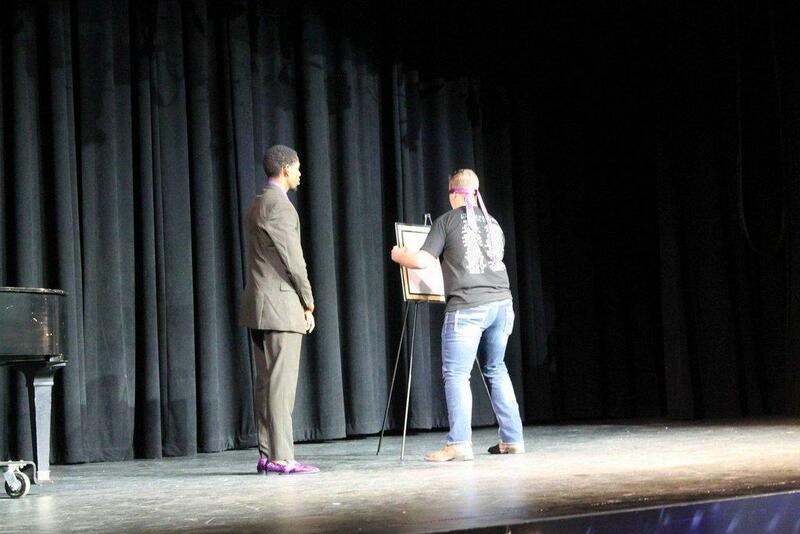 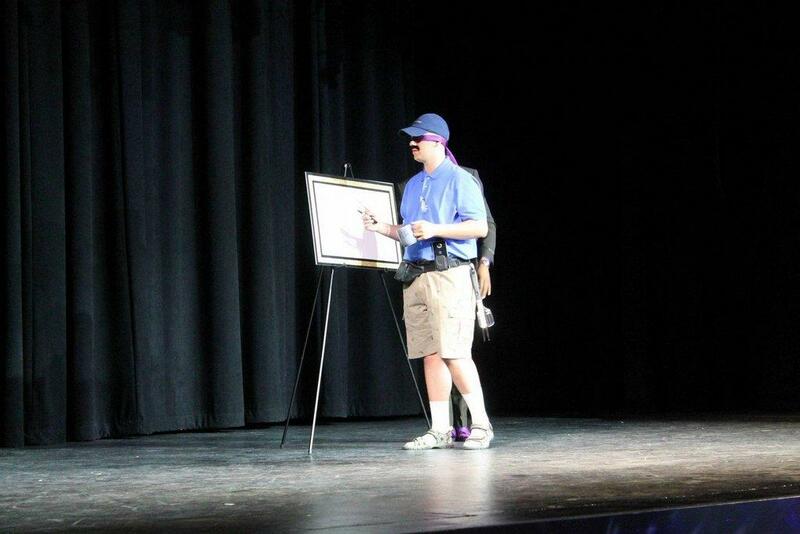 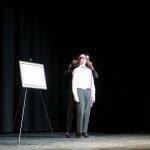 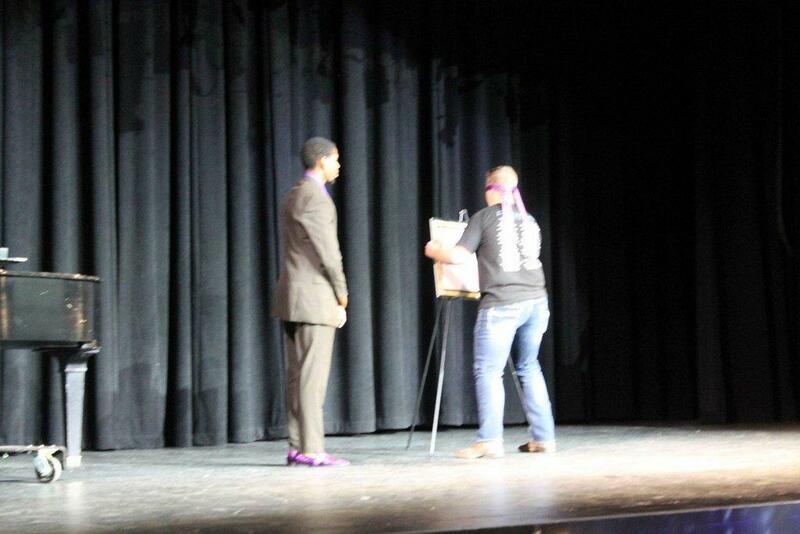 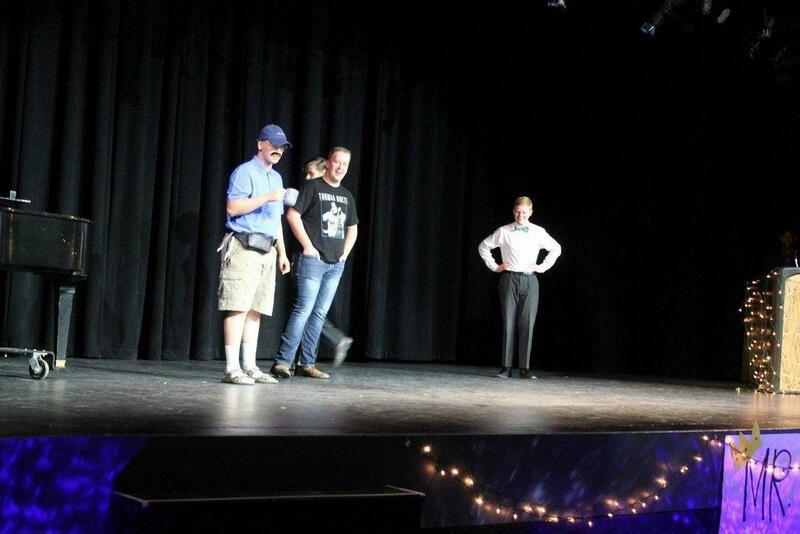 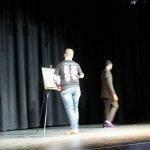 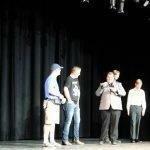 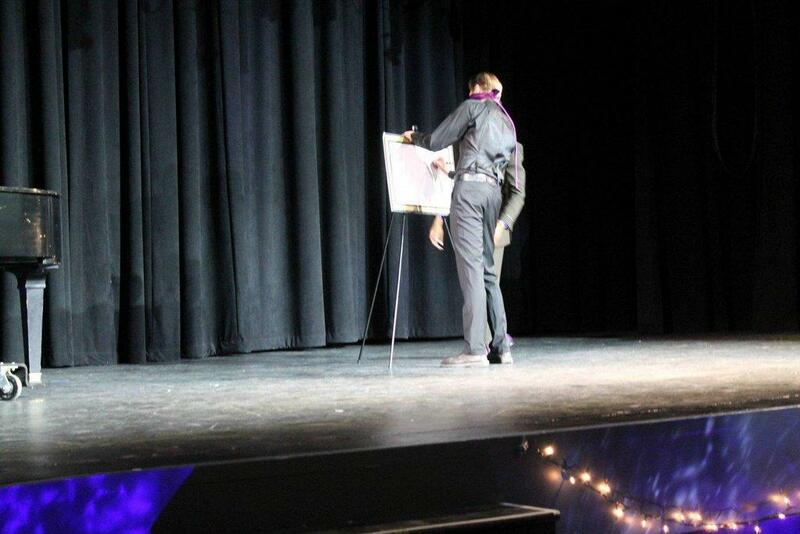 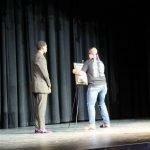 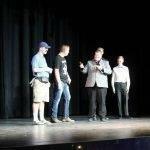 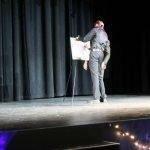 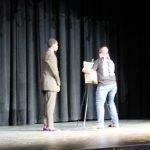 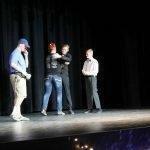 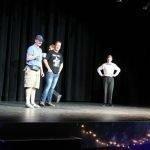 They each had to perform a talent, answer an onstage question and draw the USU Eastern logo. 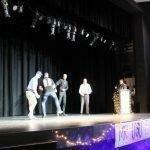 This event was full of laughter and brought staff, faculty, students and others together to support the young men competing. 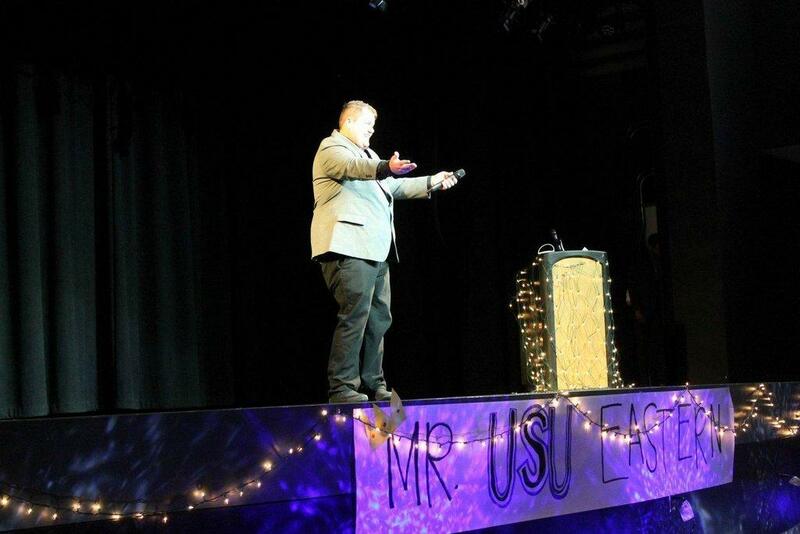 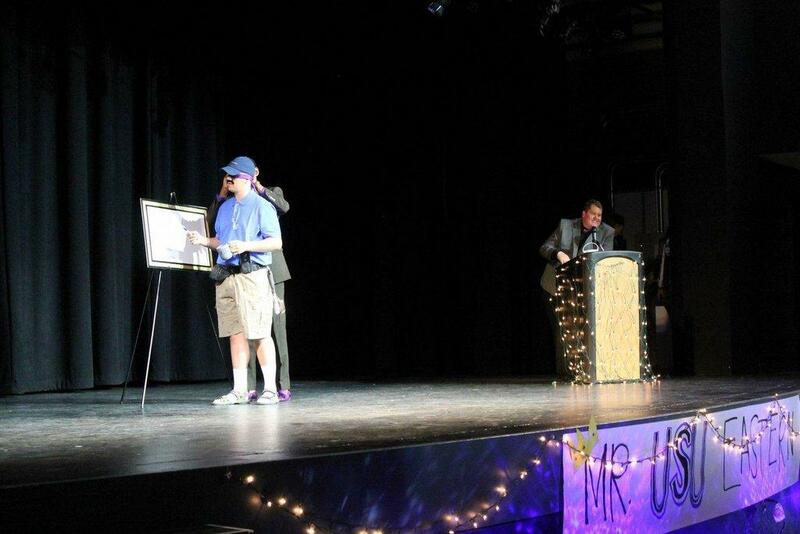 In the end, Taylor Pollock was crowned as Mr. USU Eastern 2018-19.